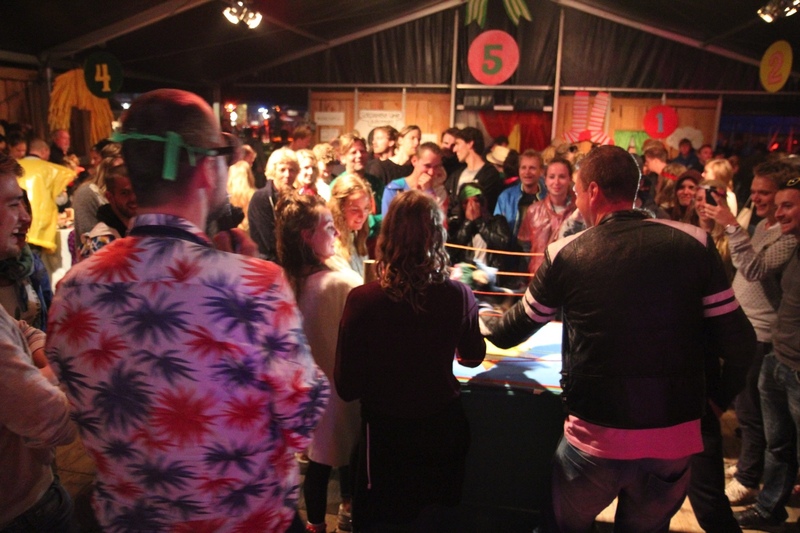 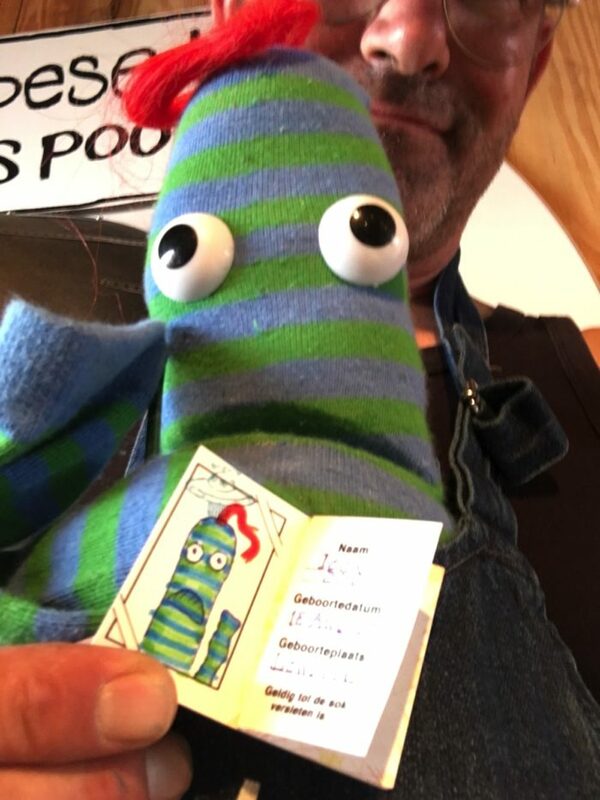 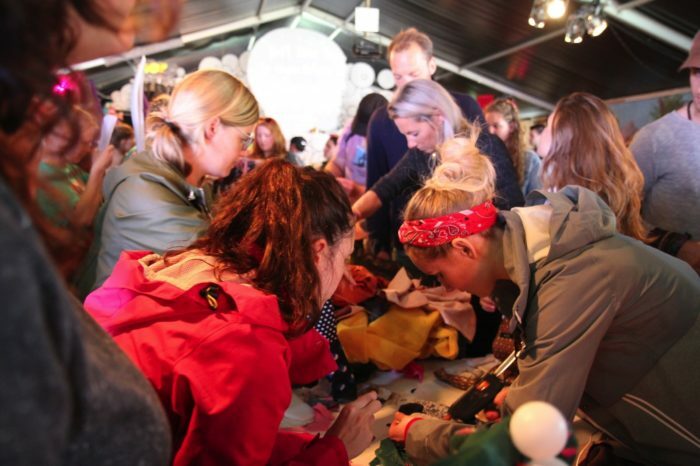 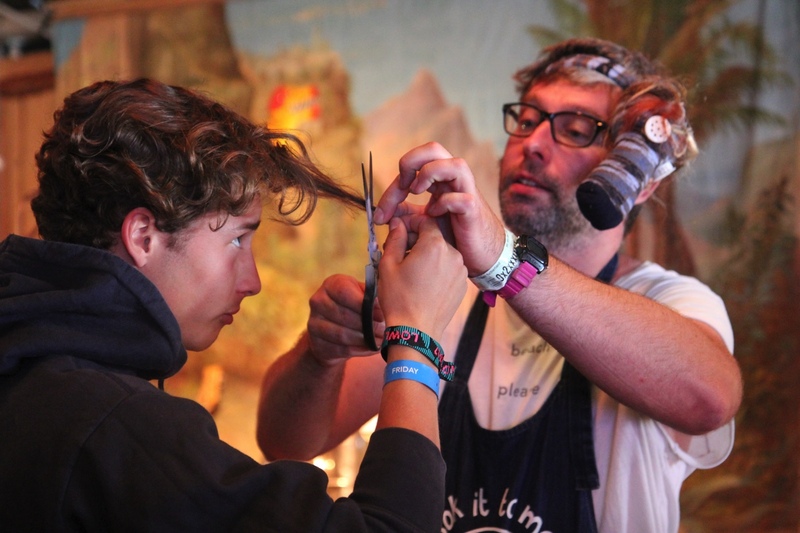 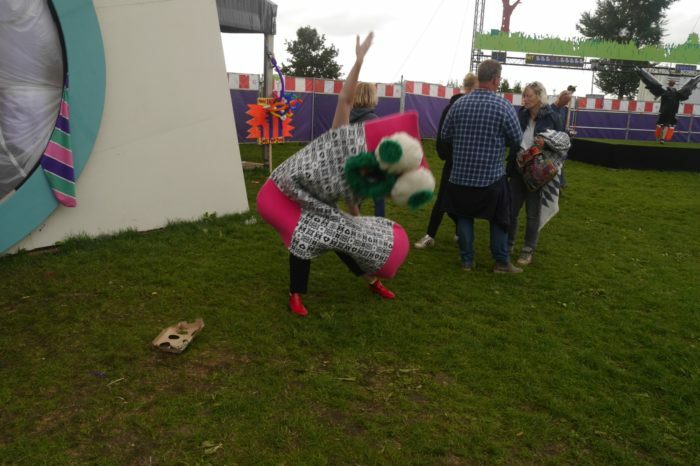 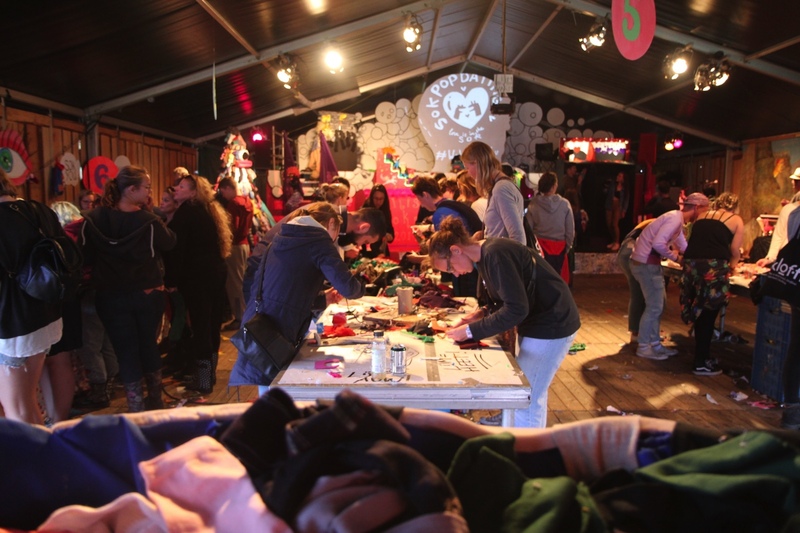 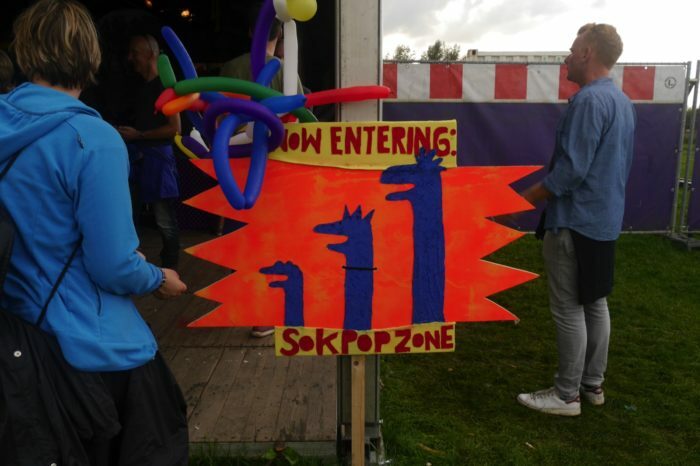 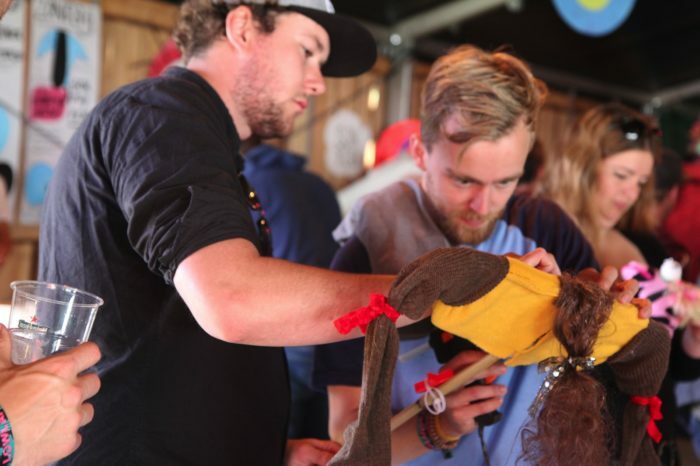 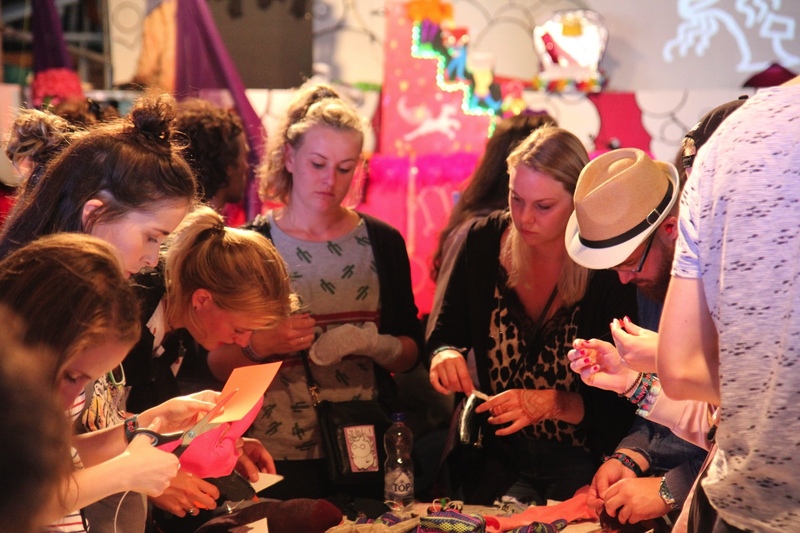 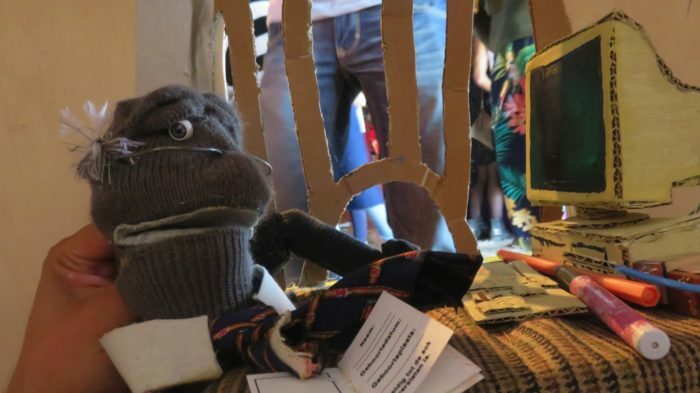 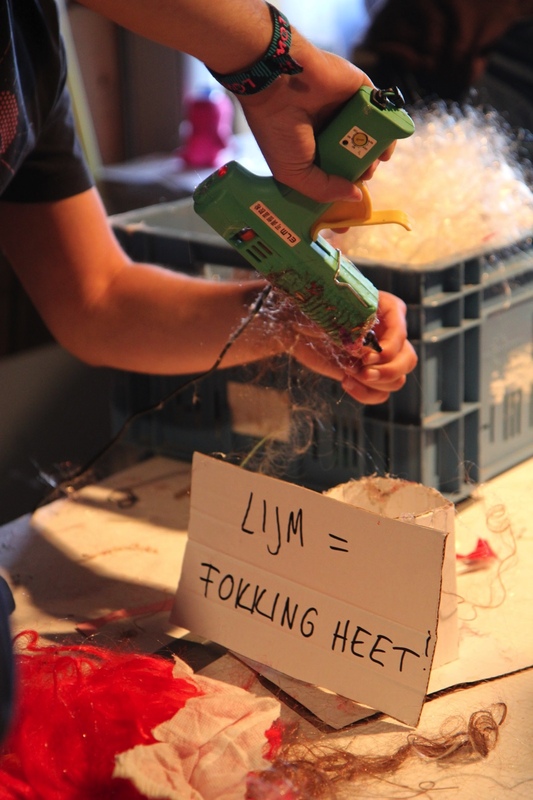 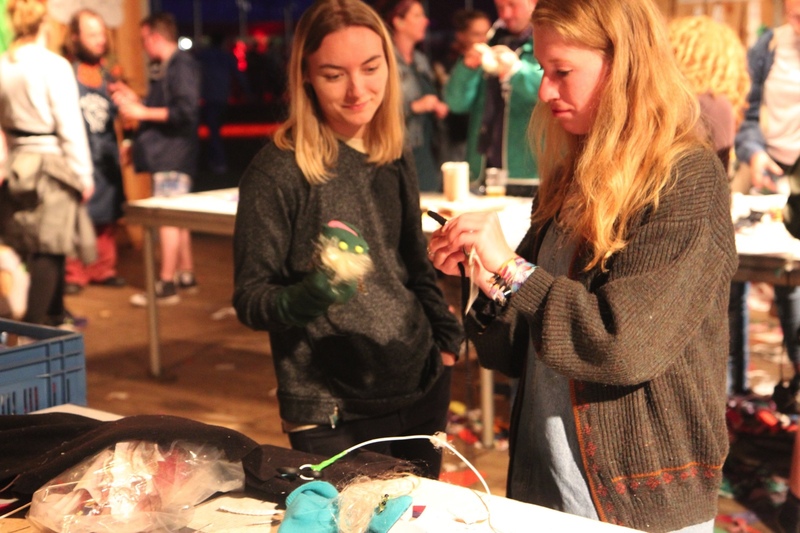 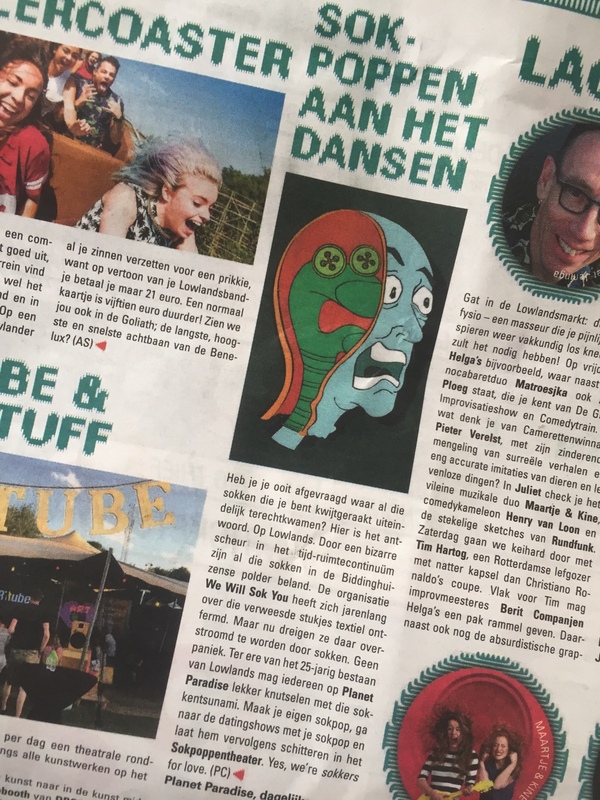 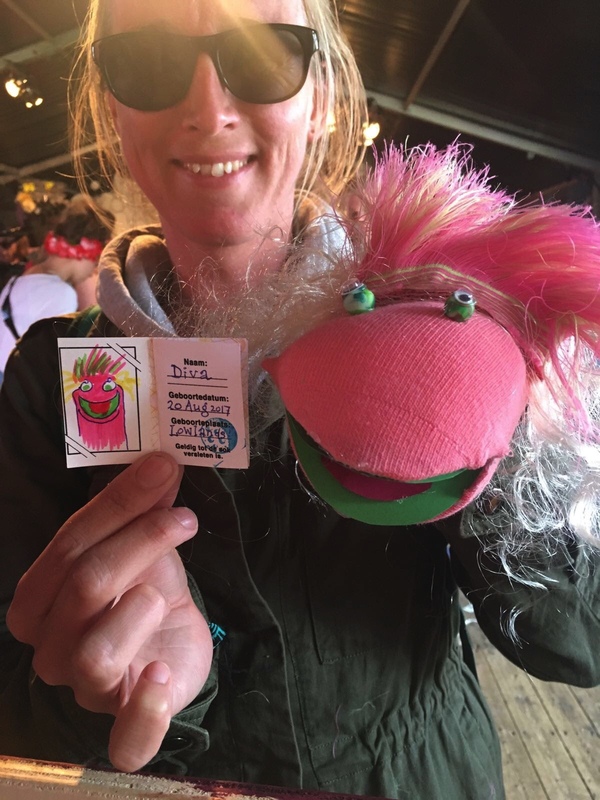 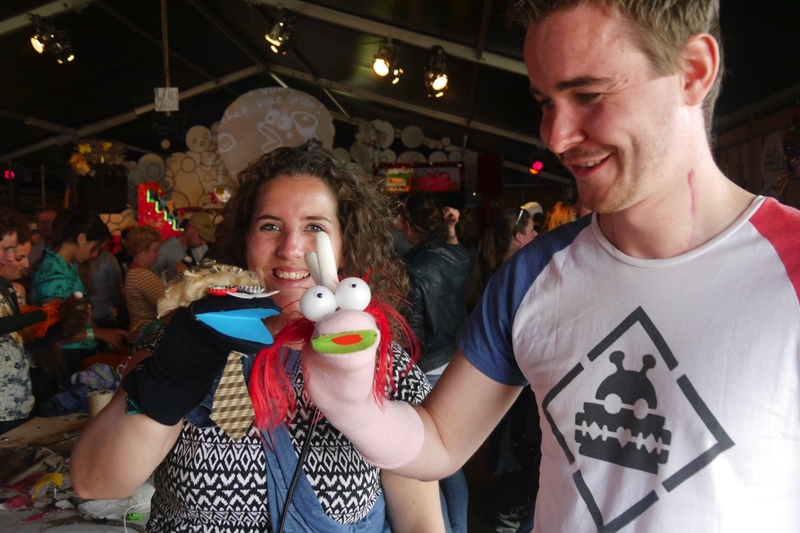 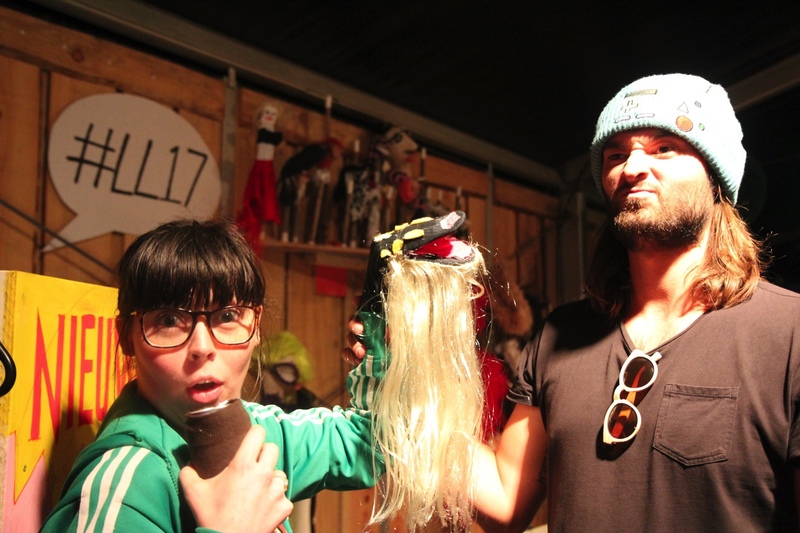 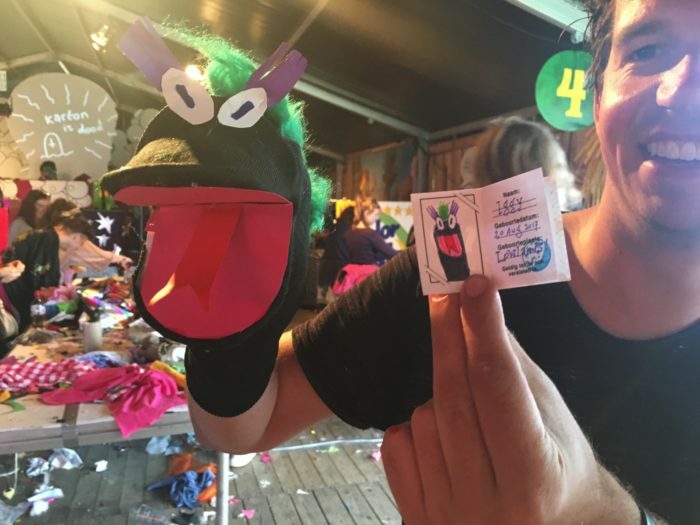 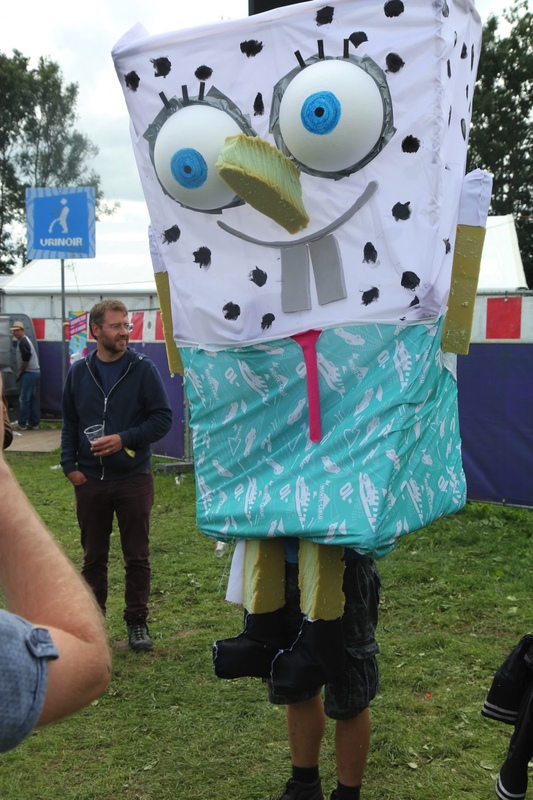 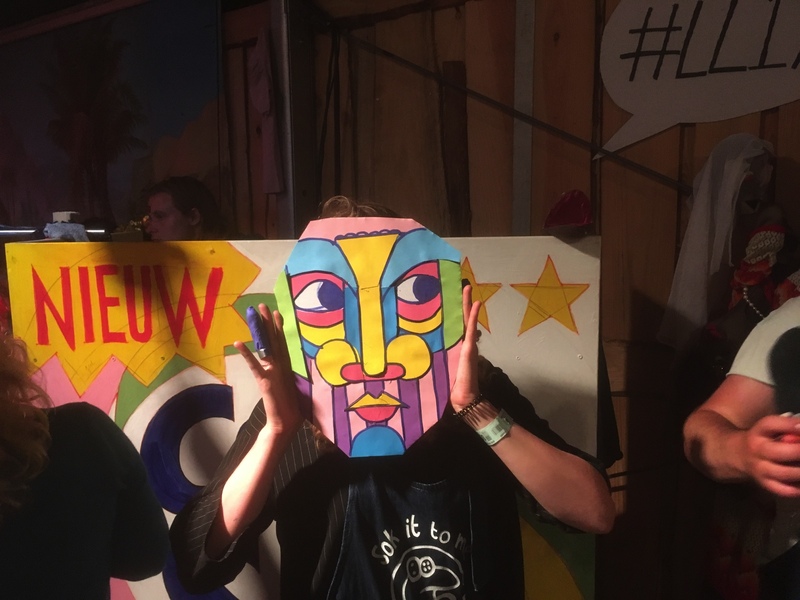 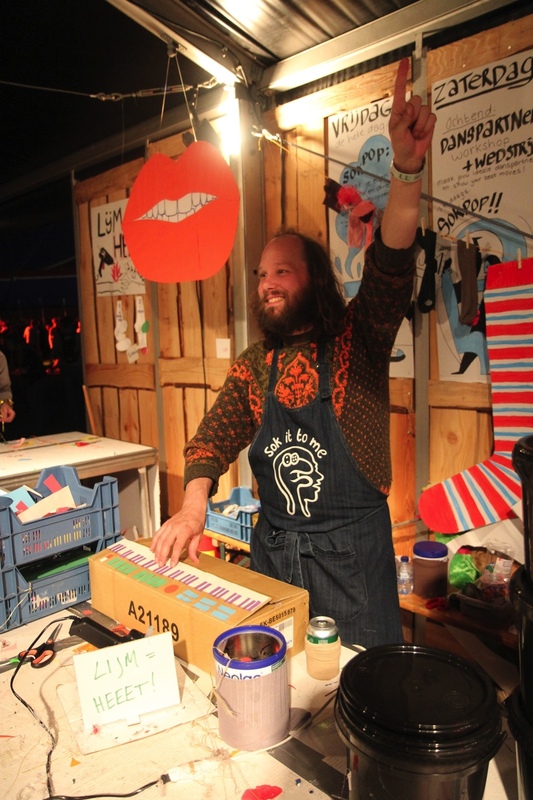 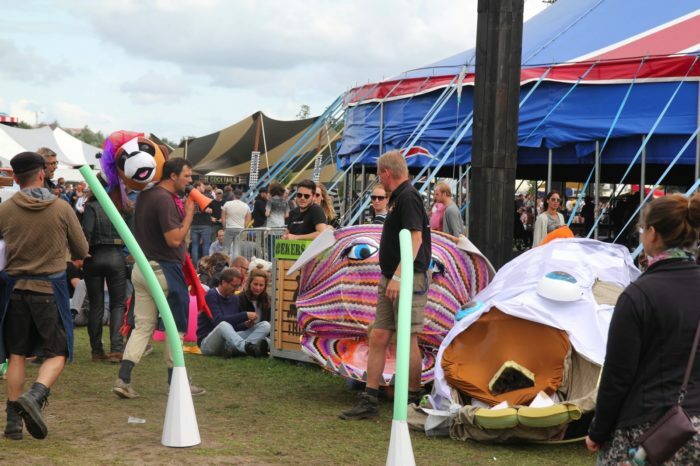 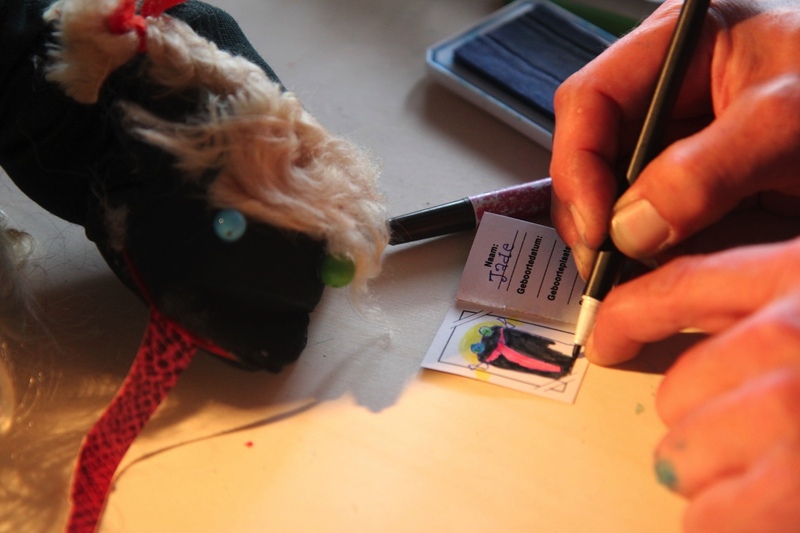 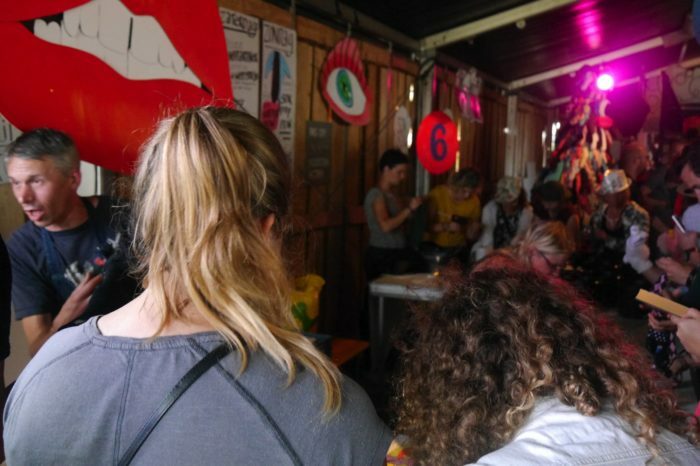 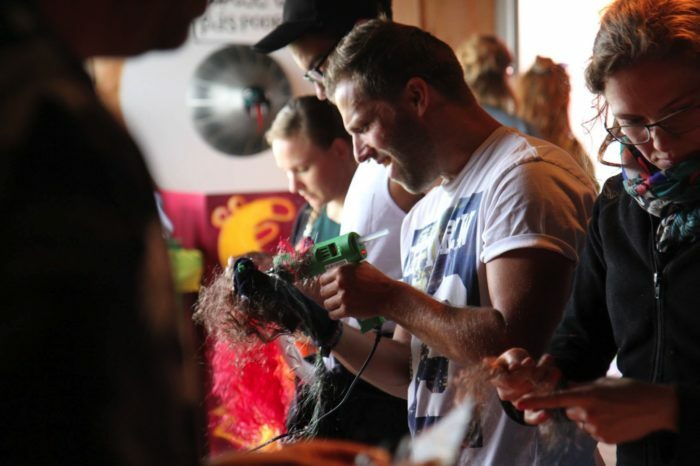 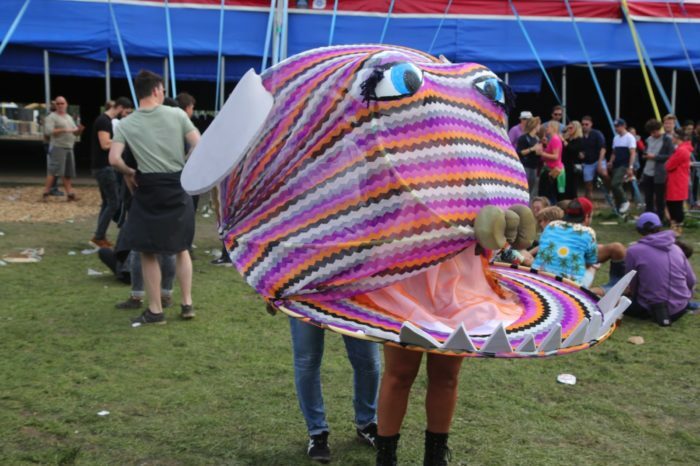 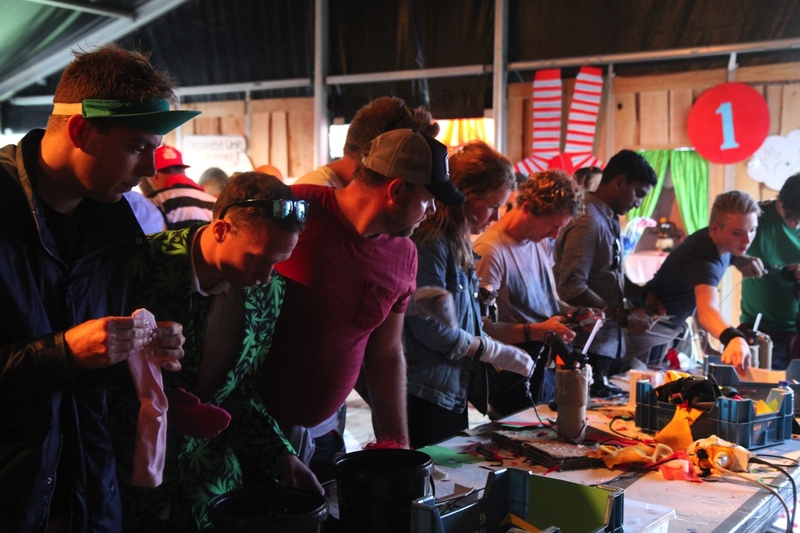 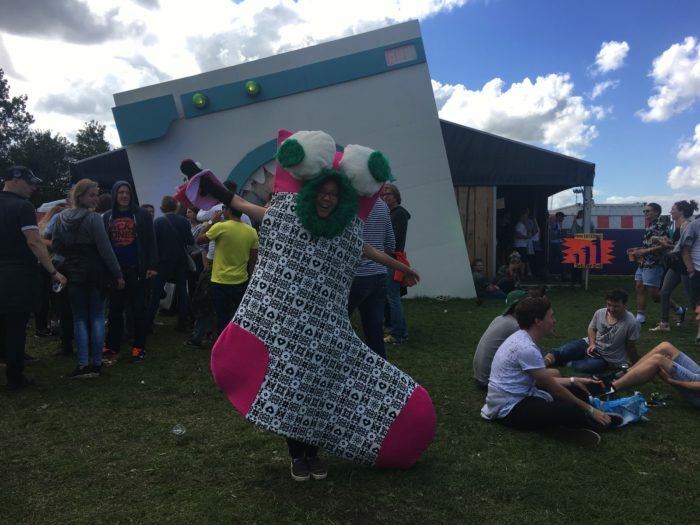 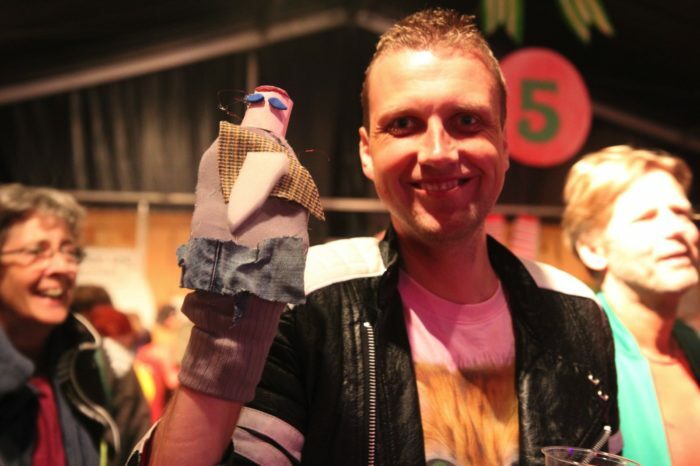 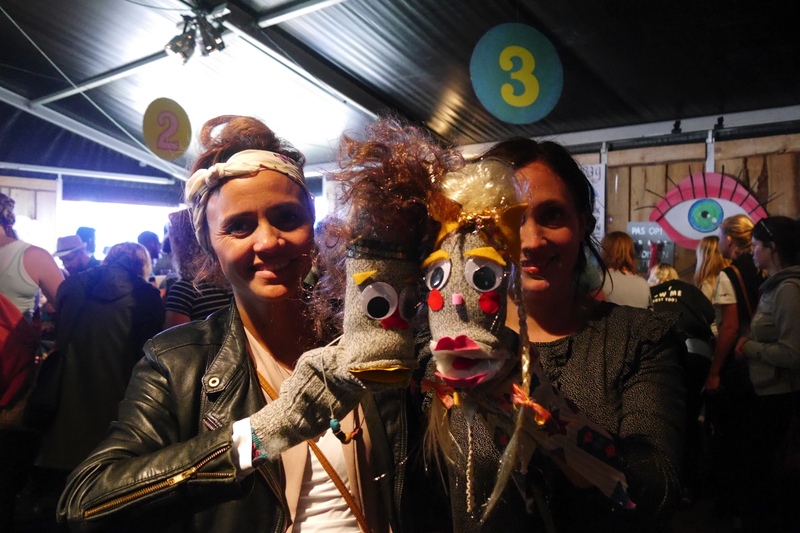 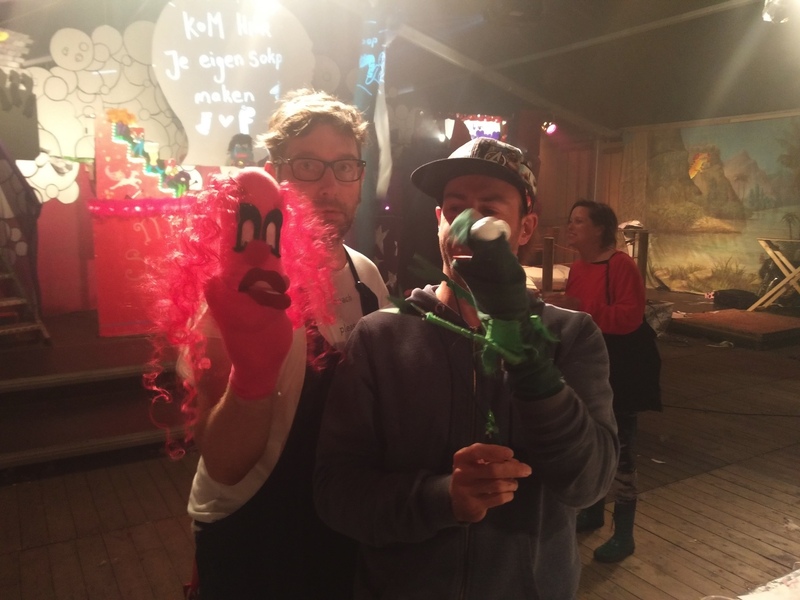 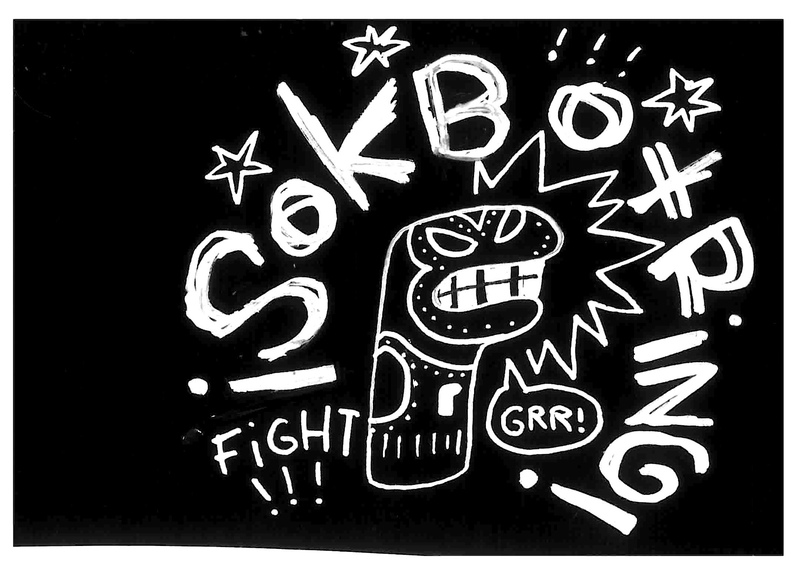 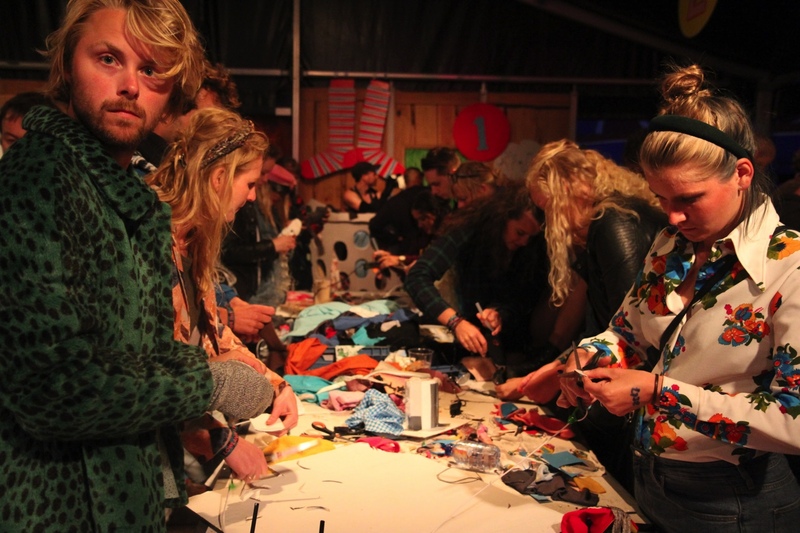 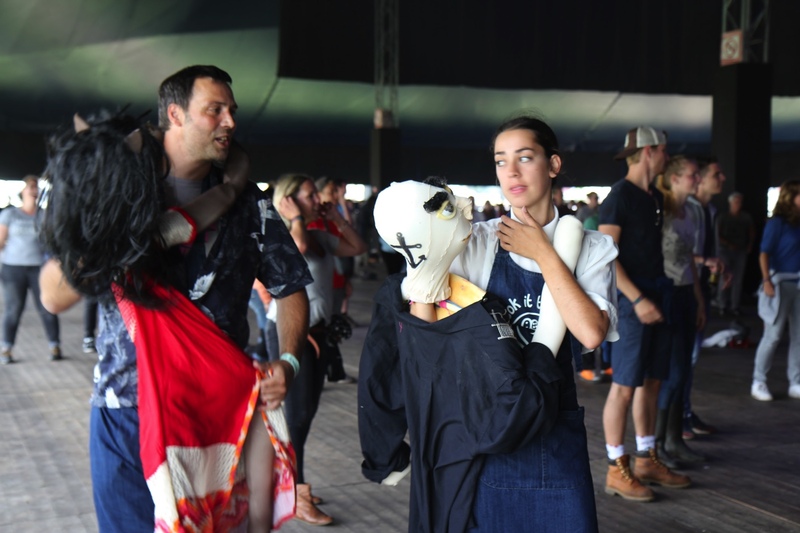 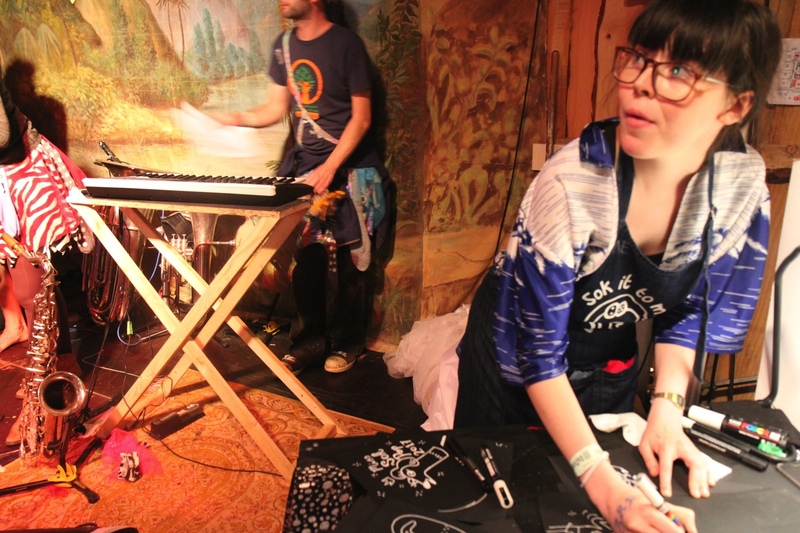 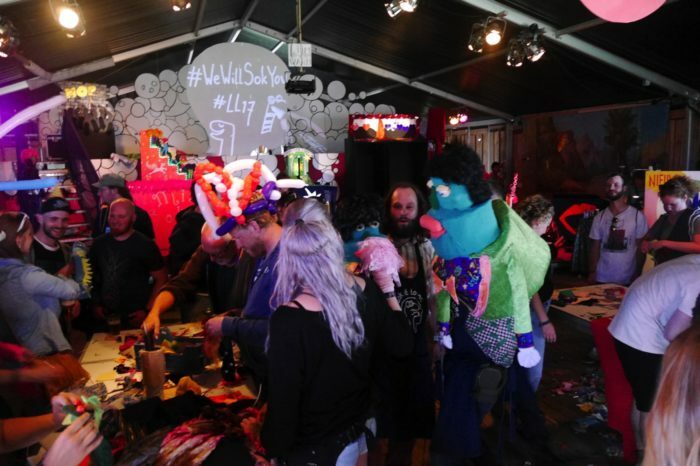 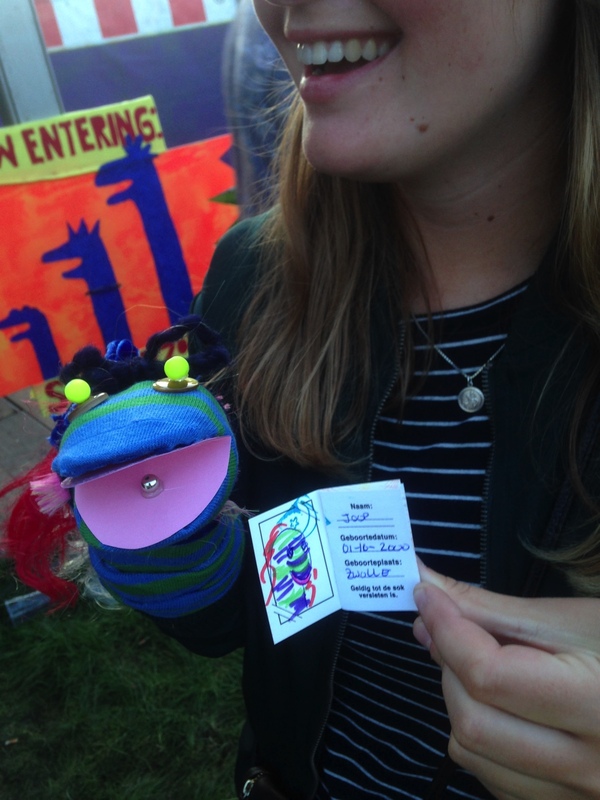 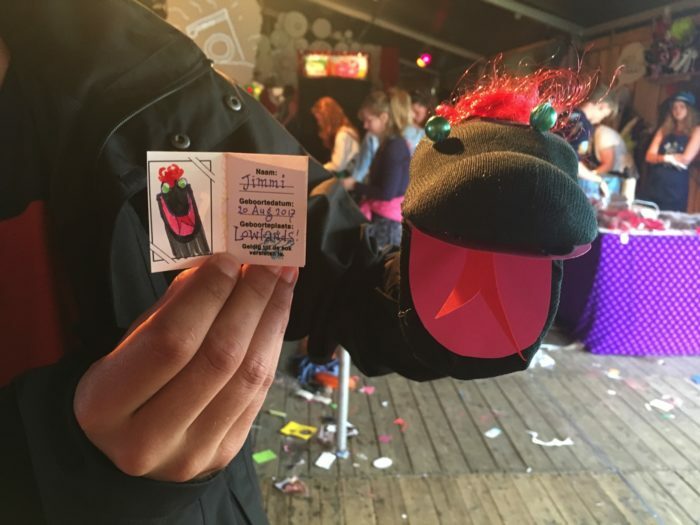 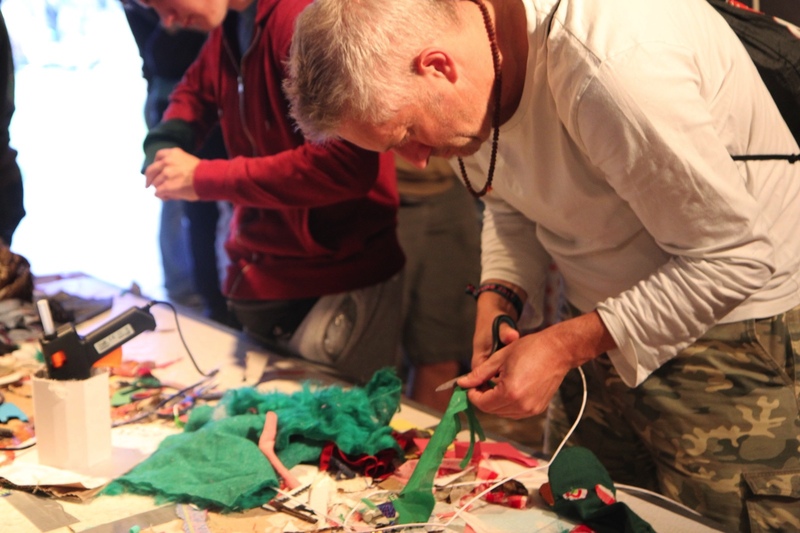 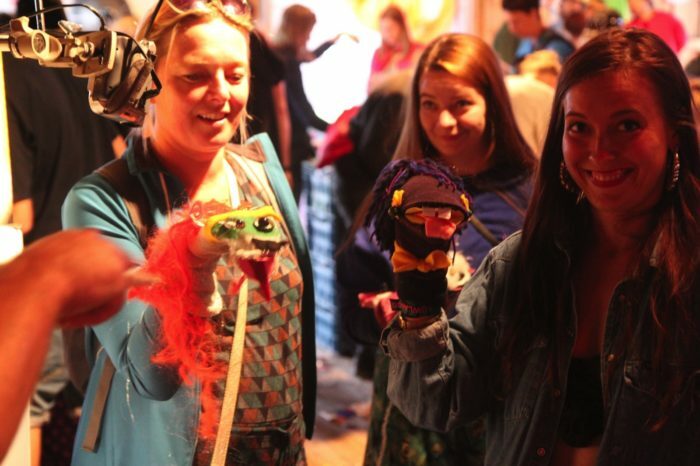 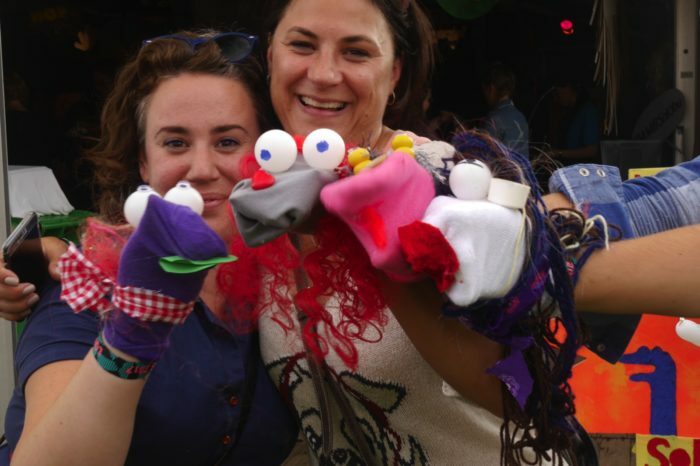 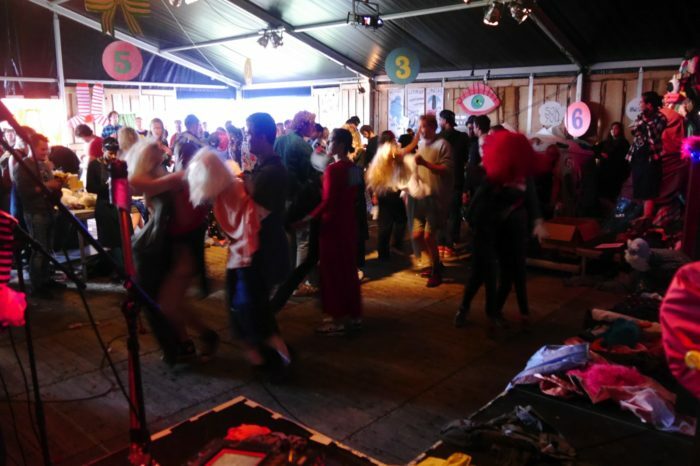 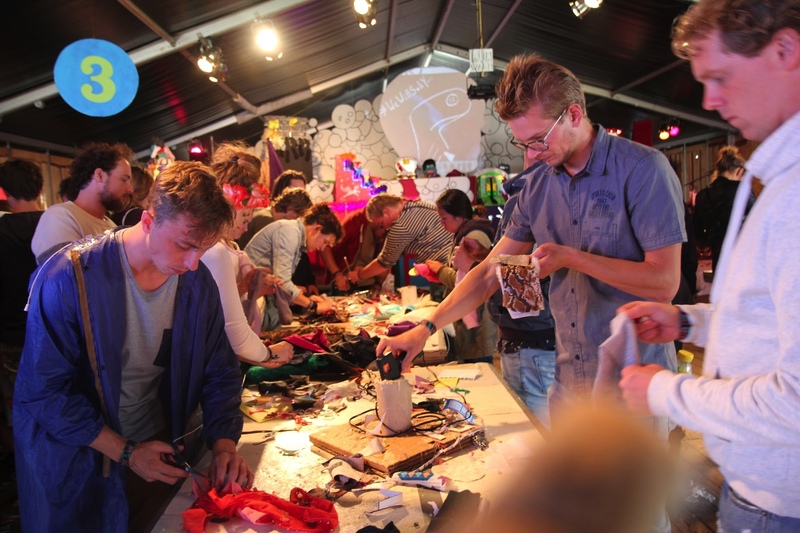 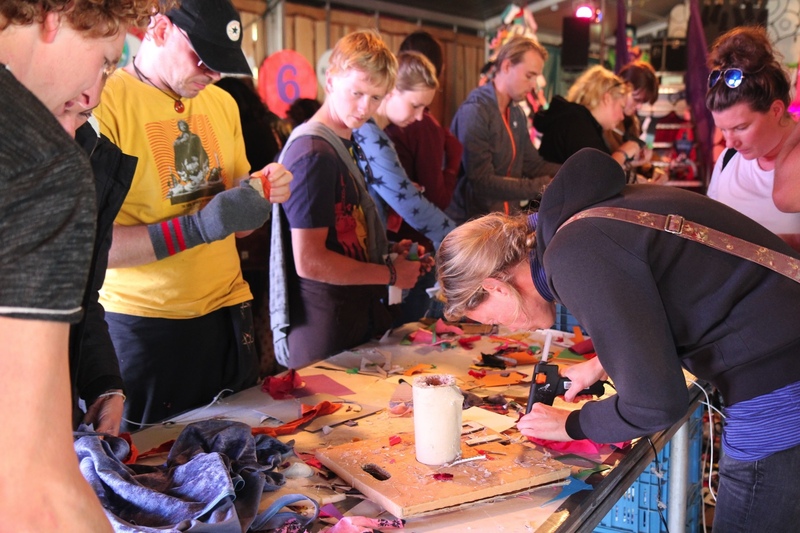 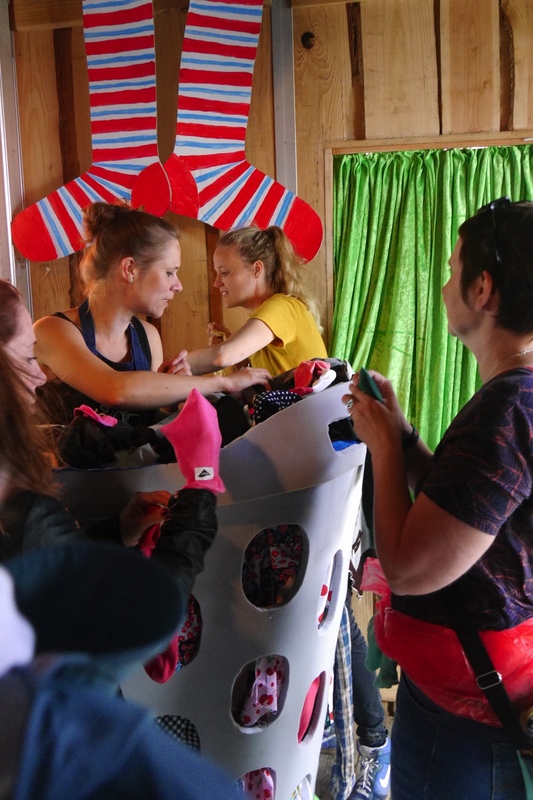 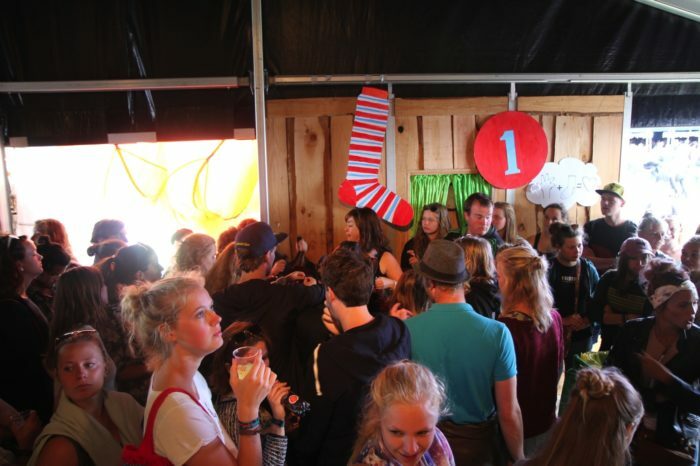 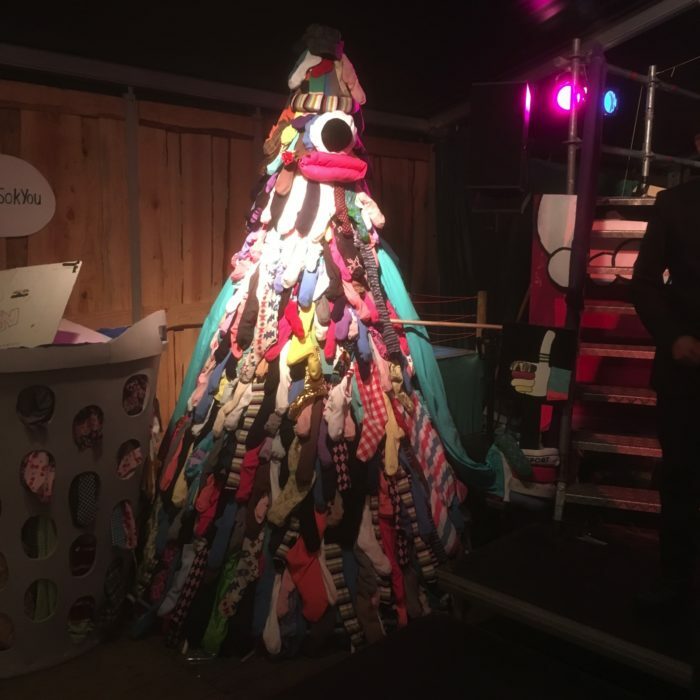 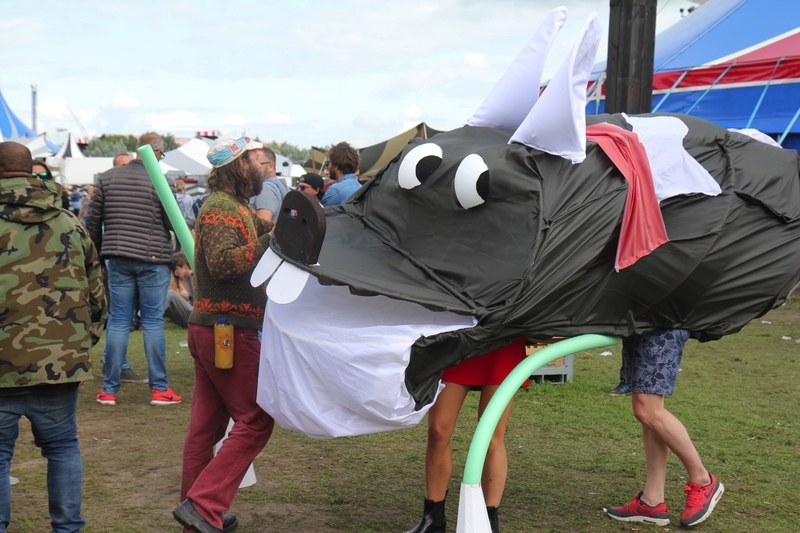 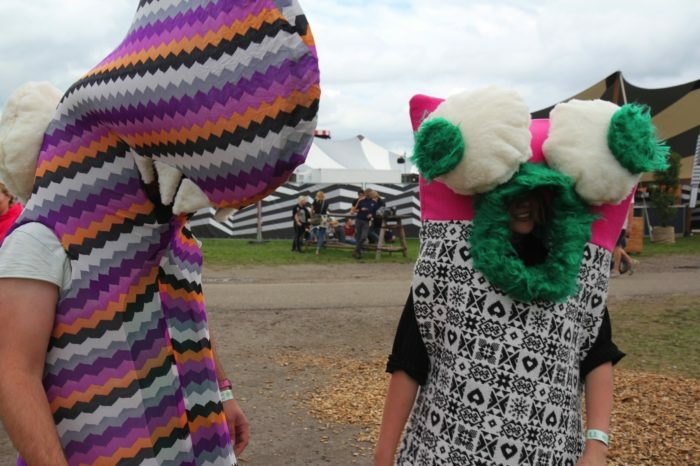 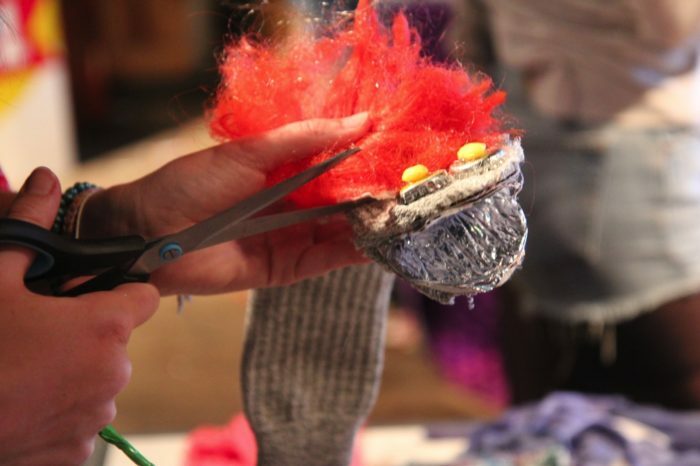 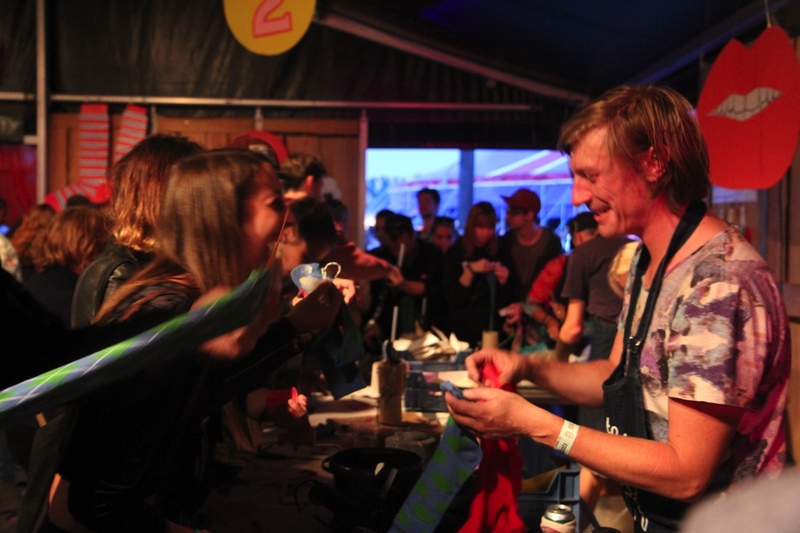 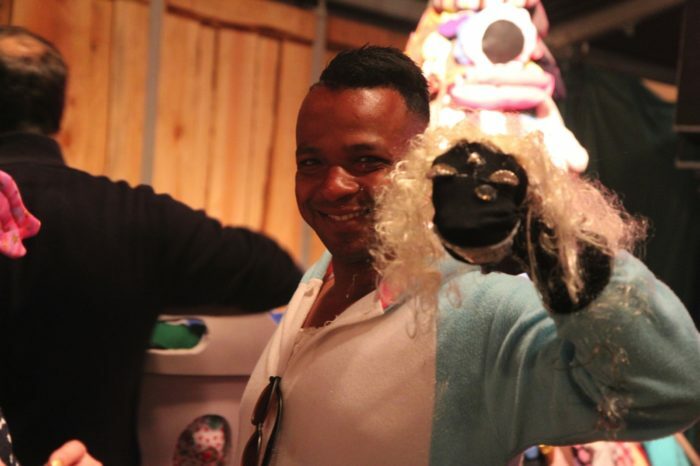 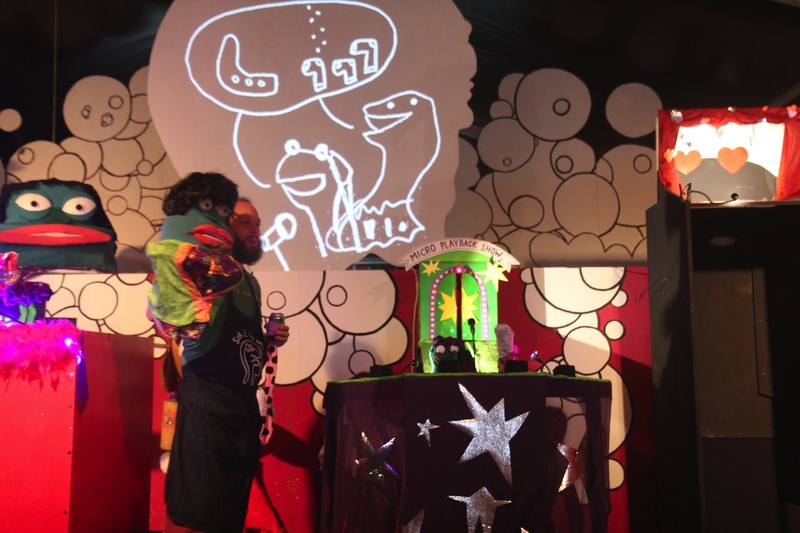 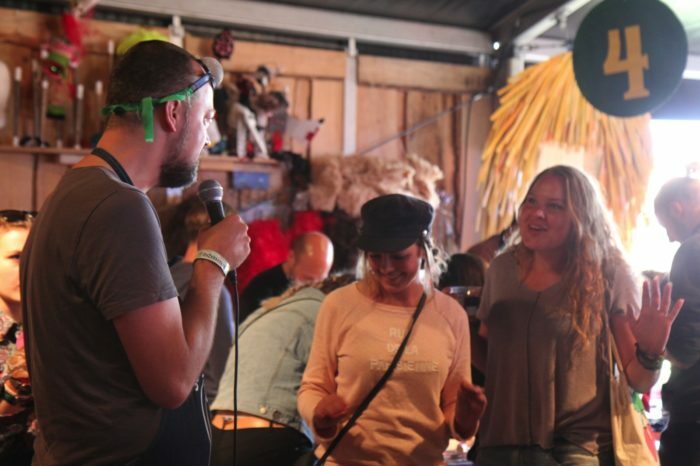 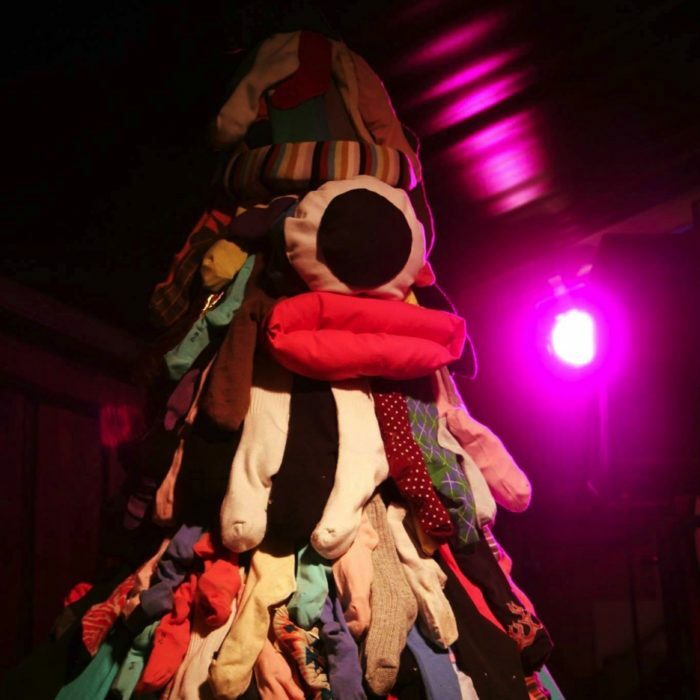 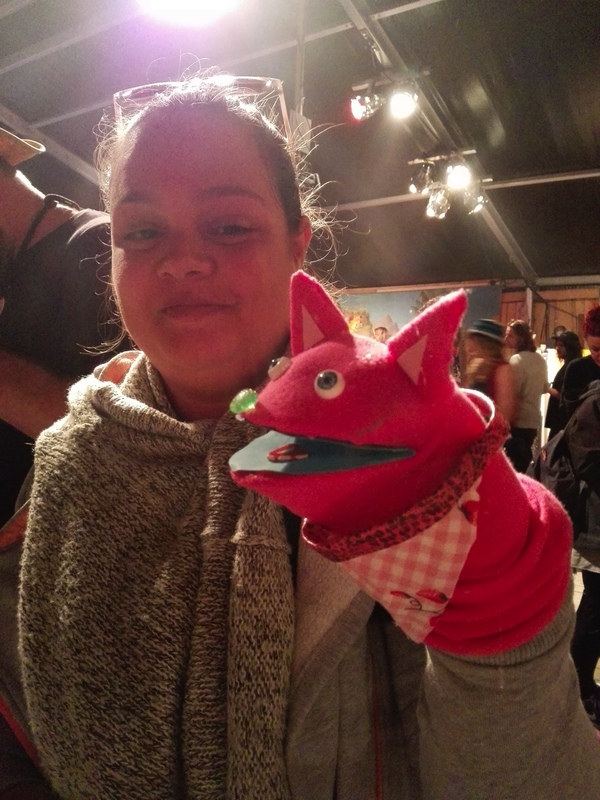 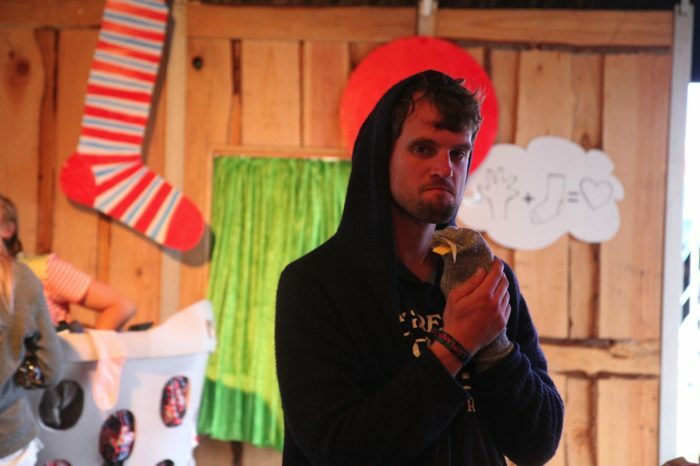 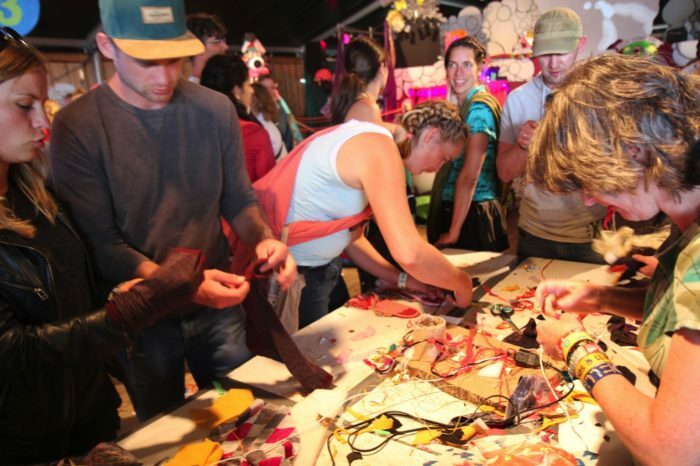 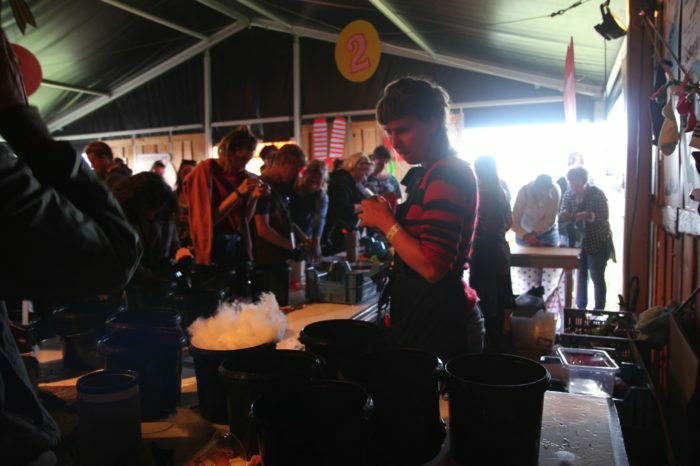 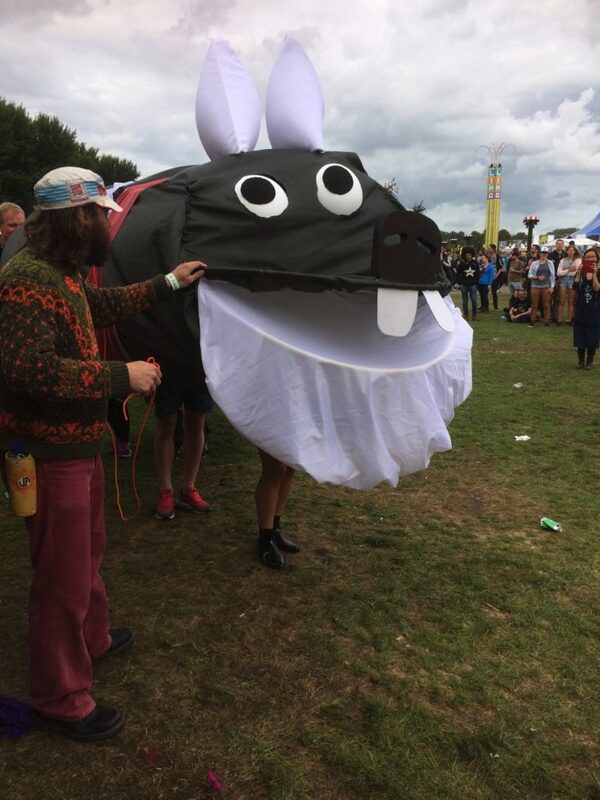 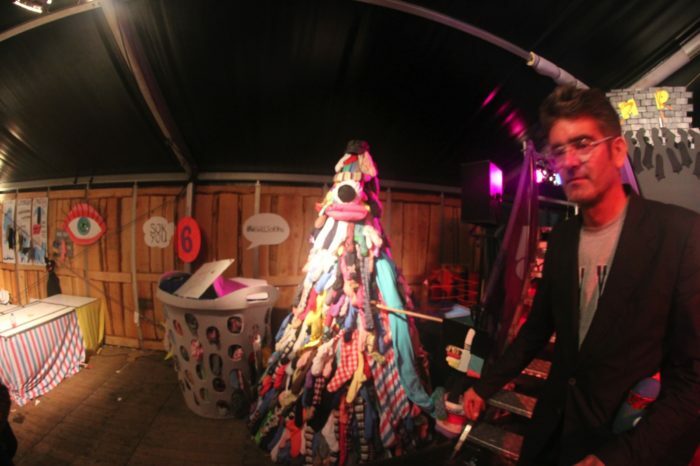 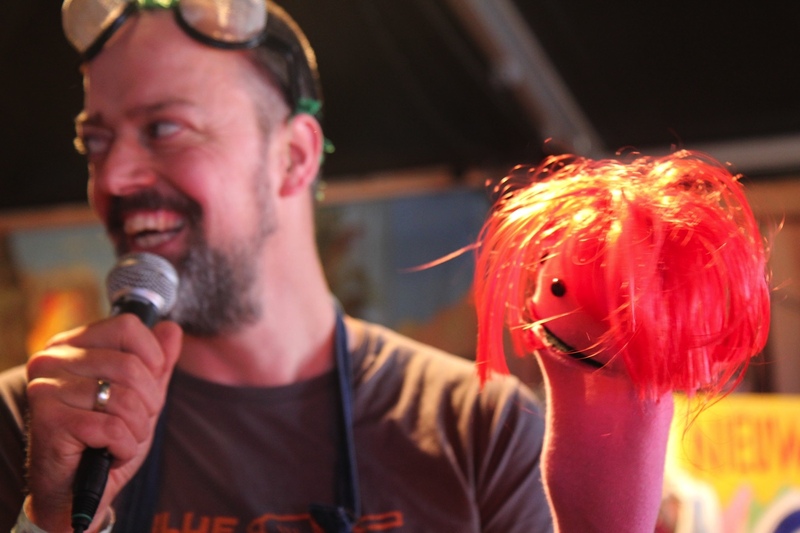 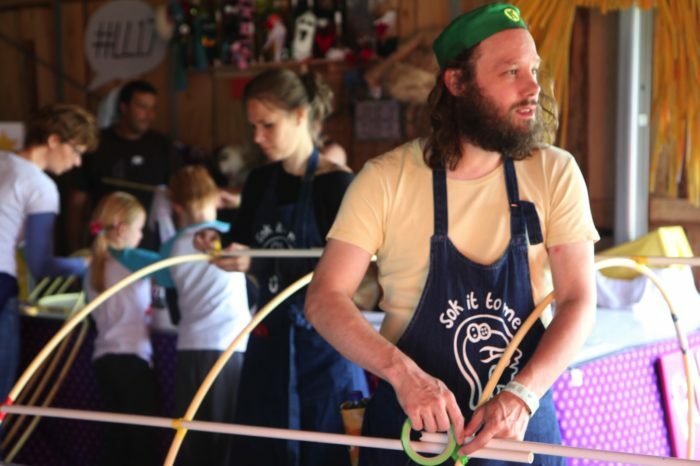 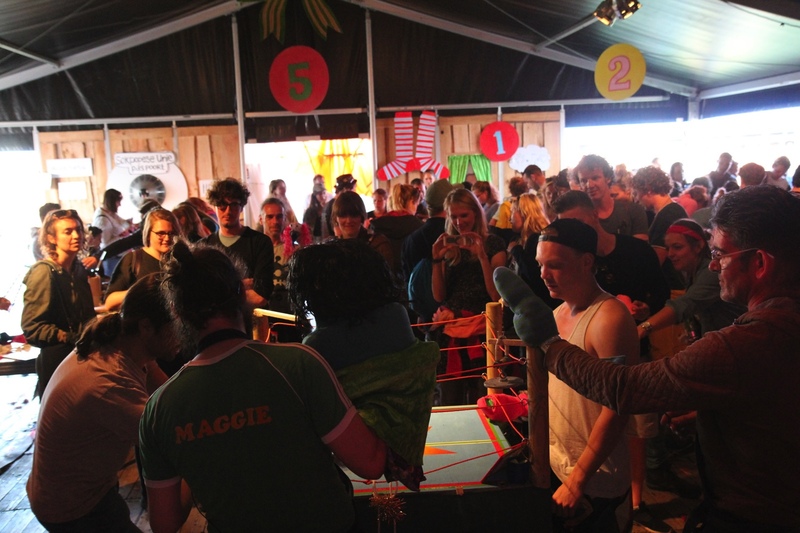 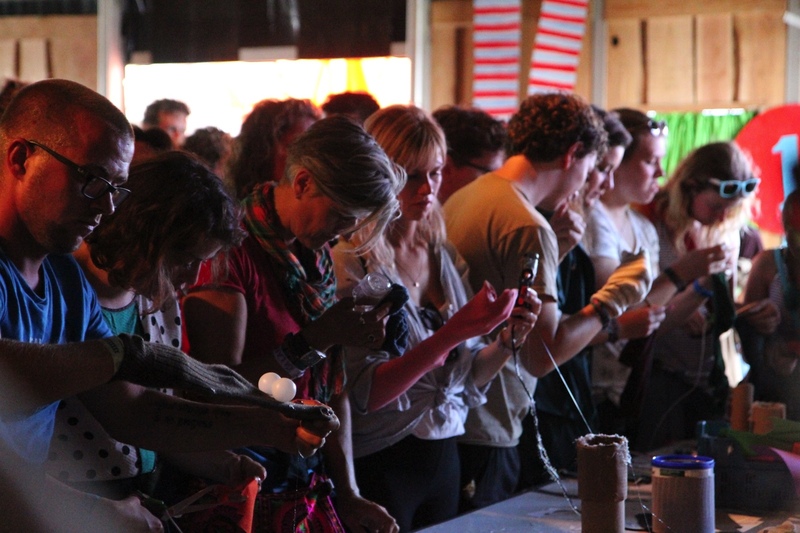 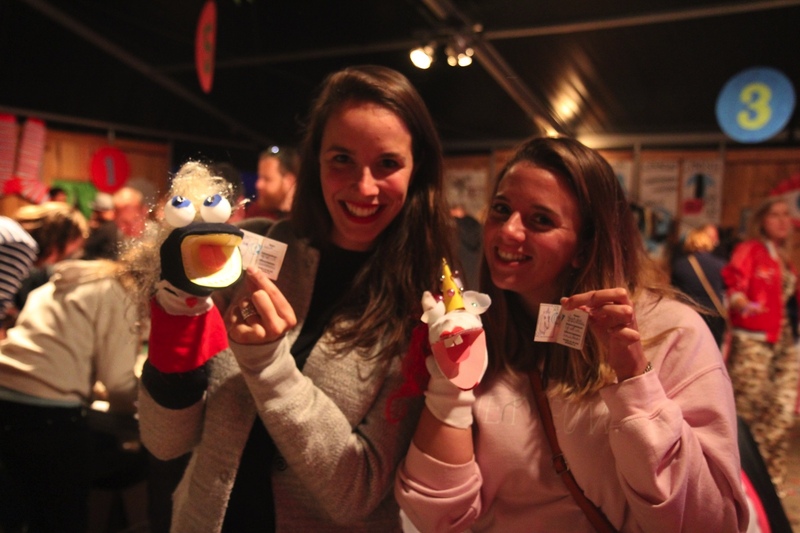 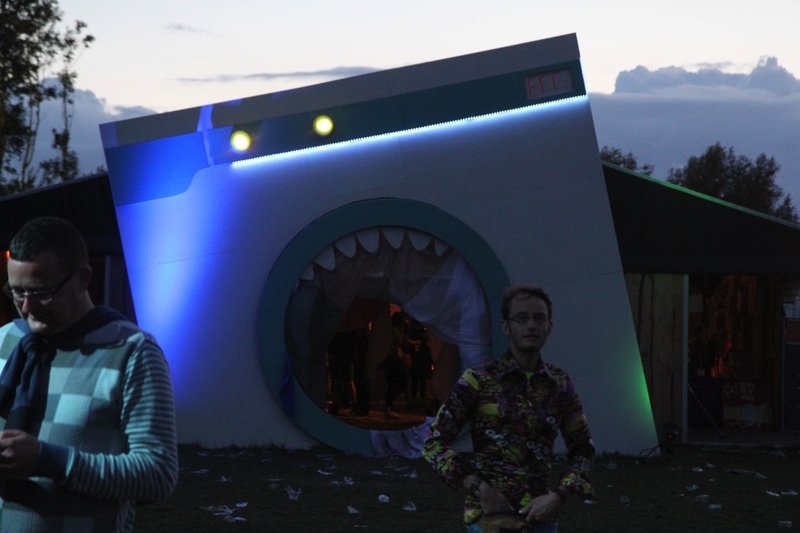 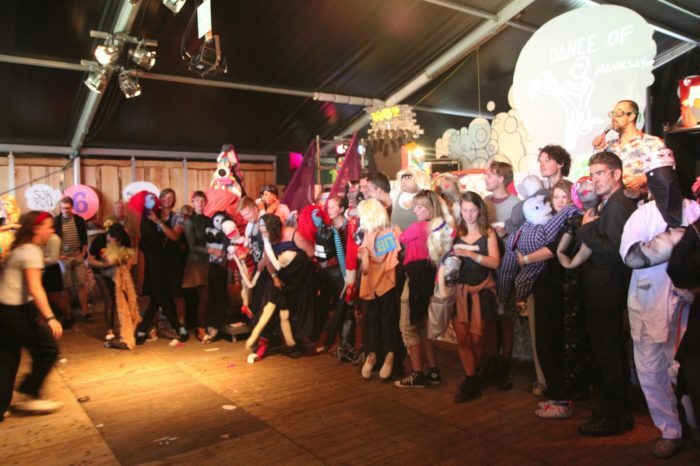 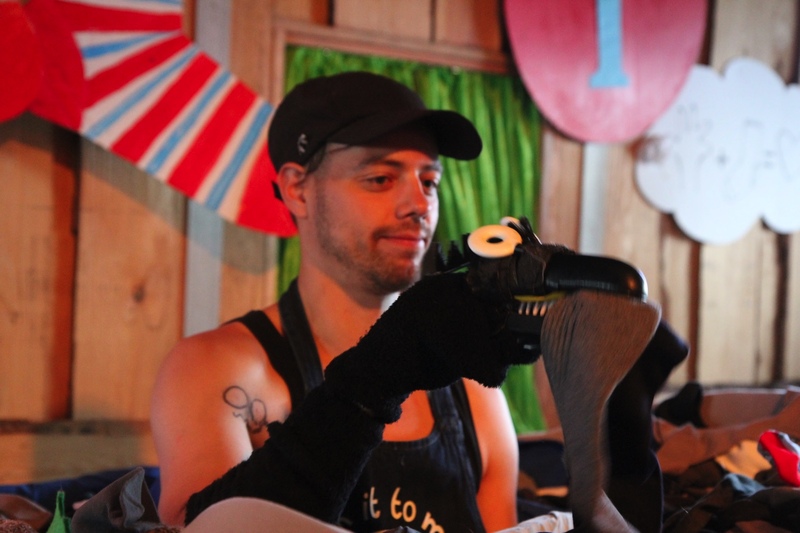 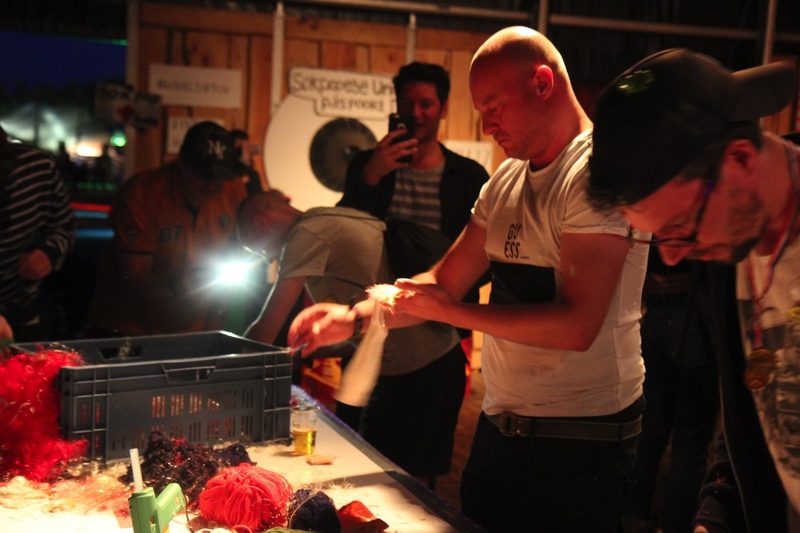 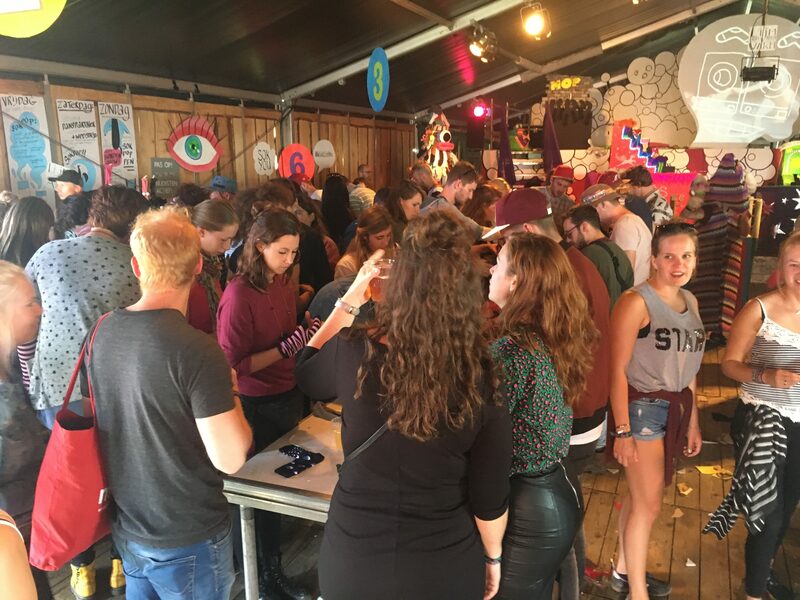 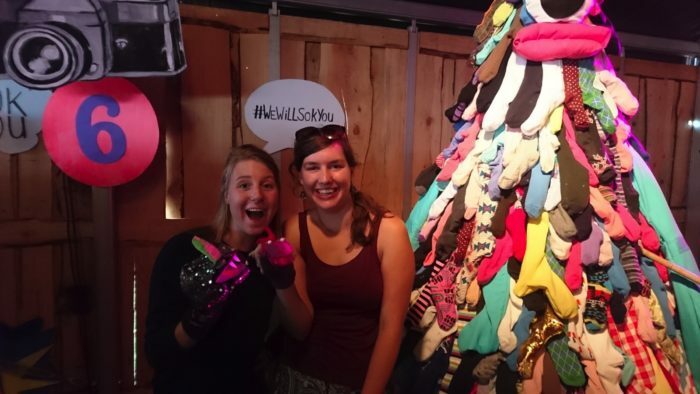 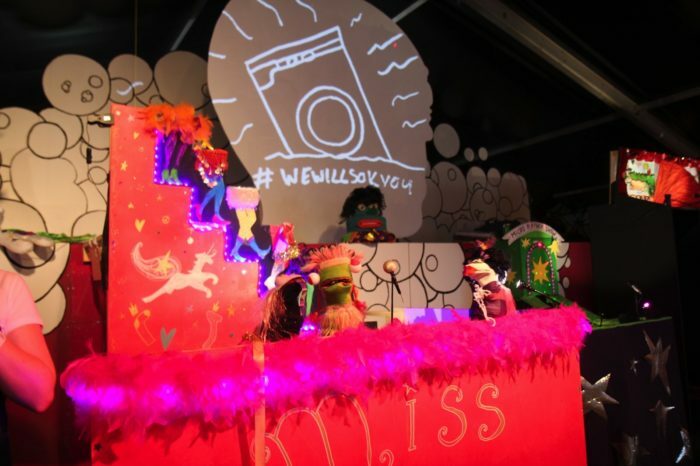 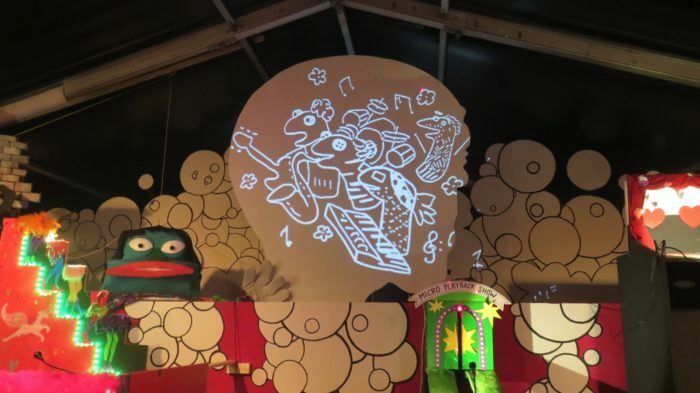 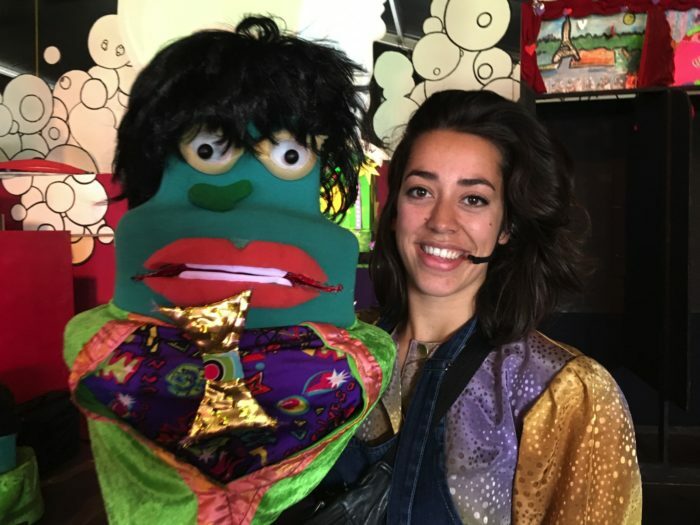 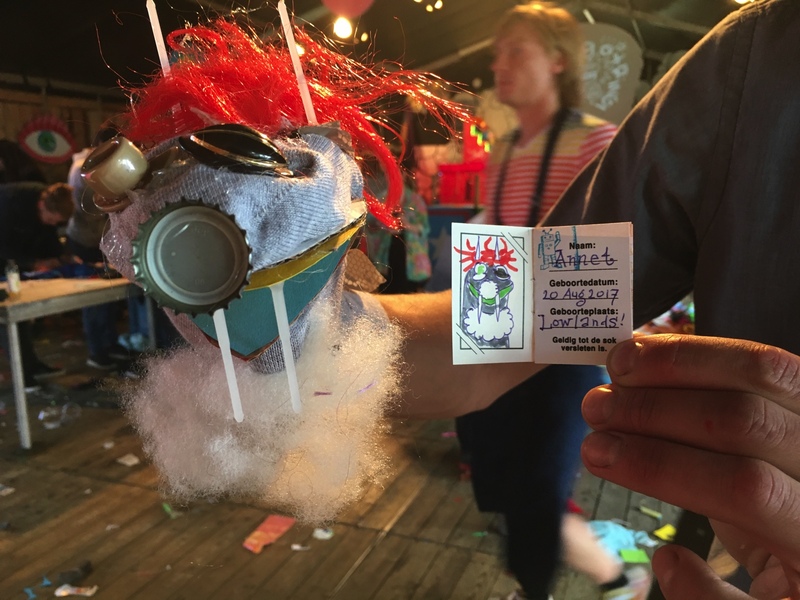 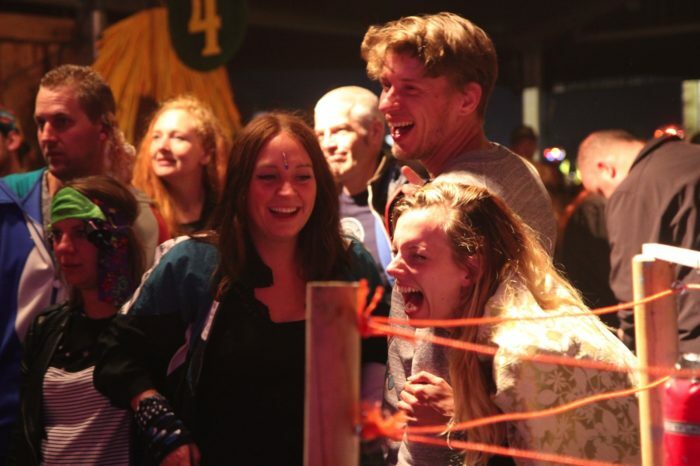 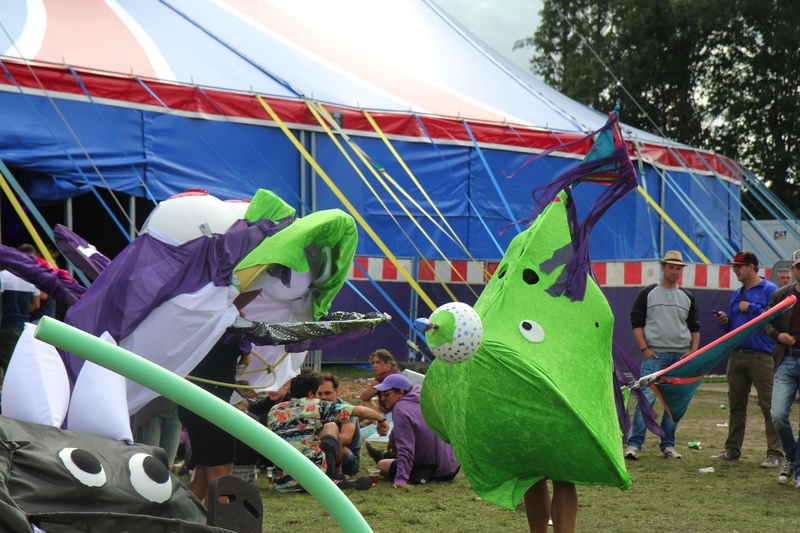 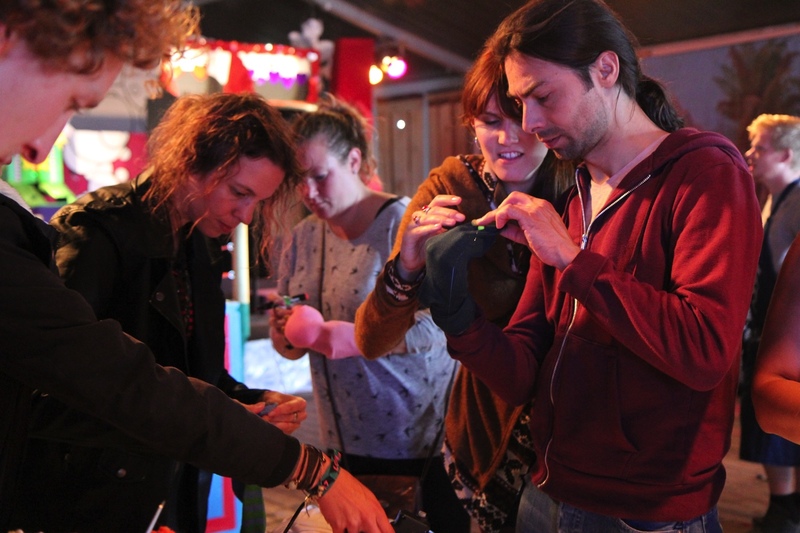 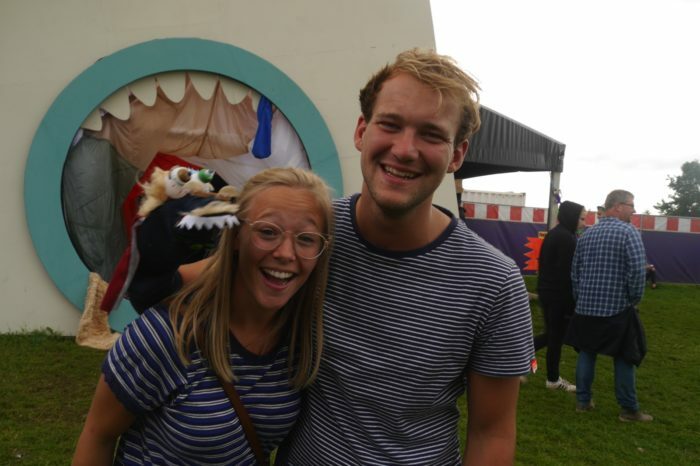 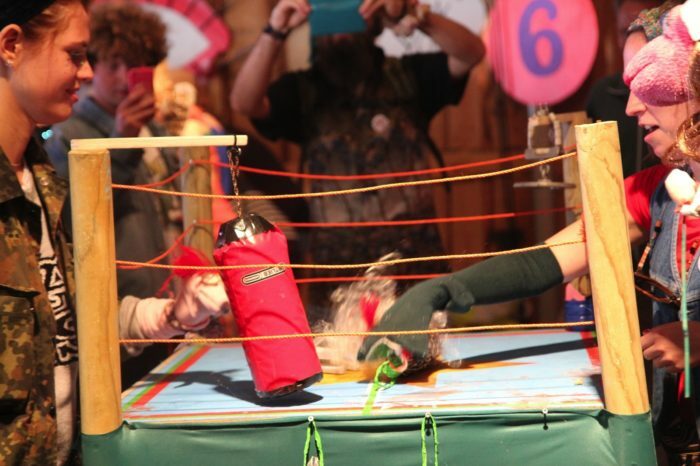 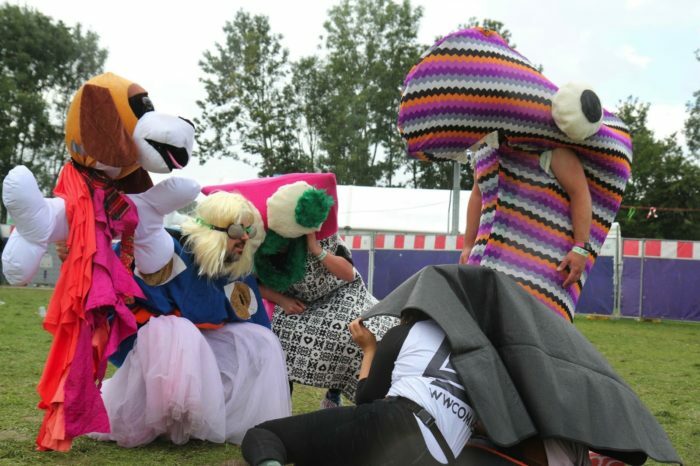 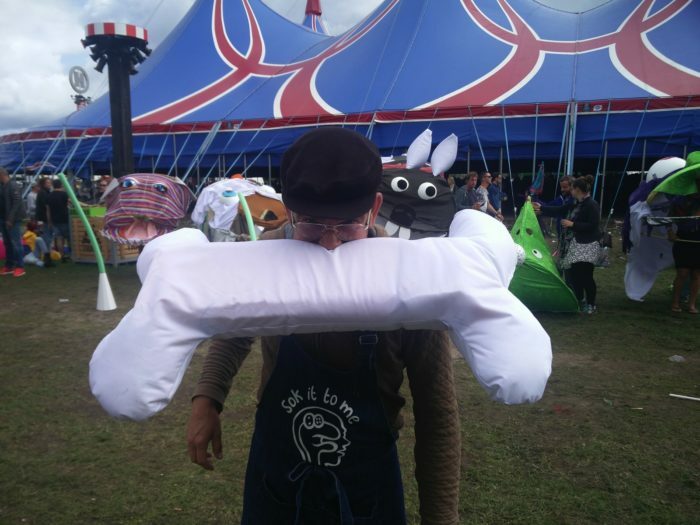 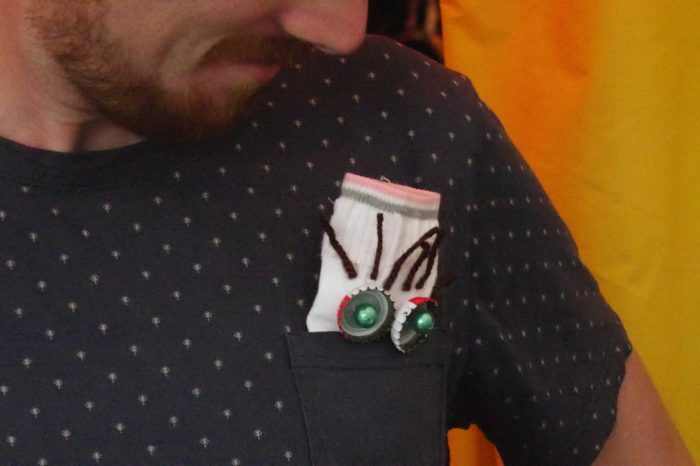 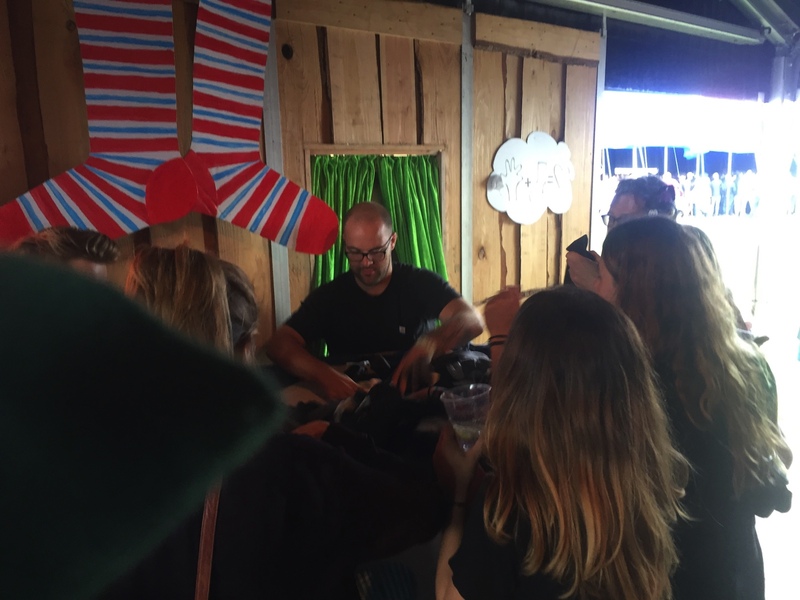 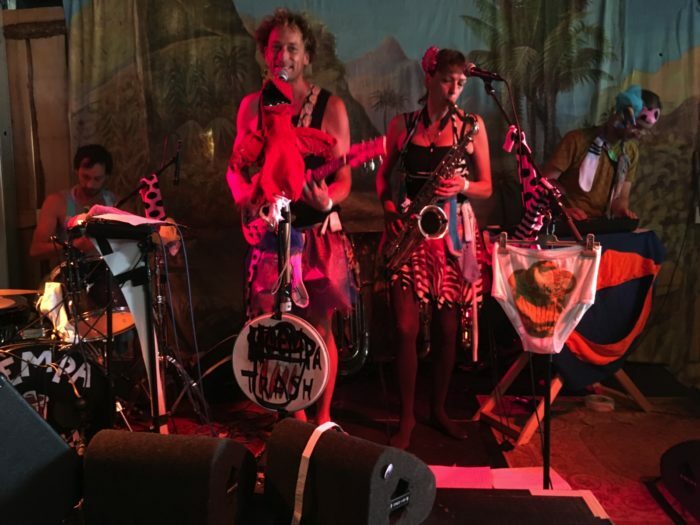 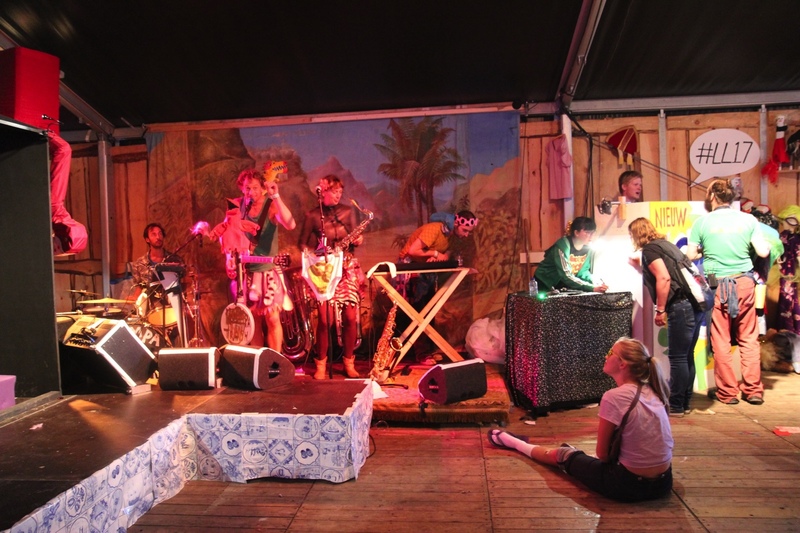 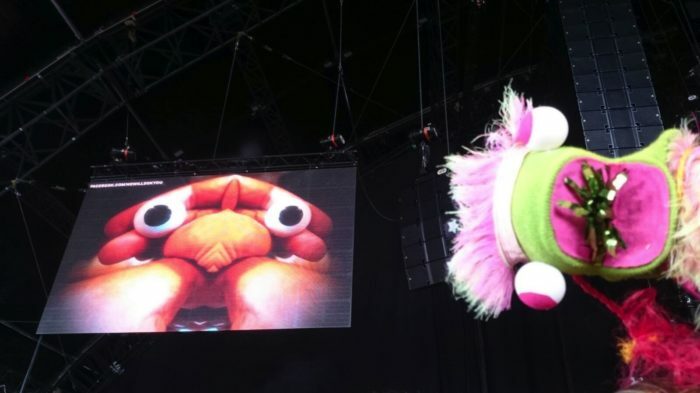 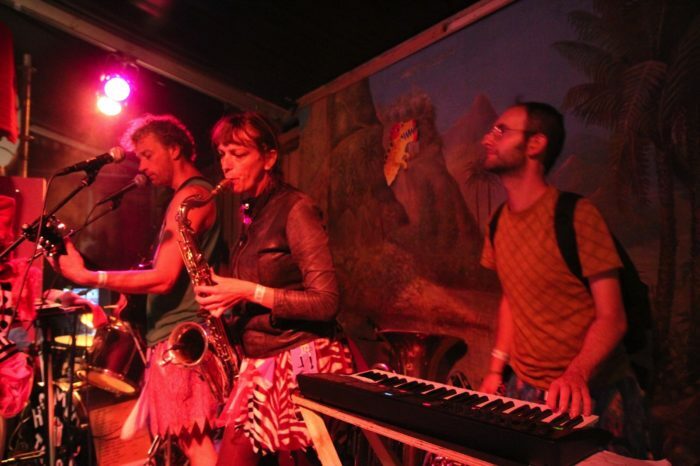 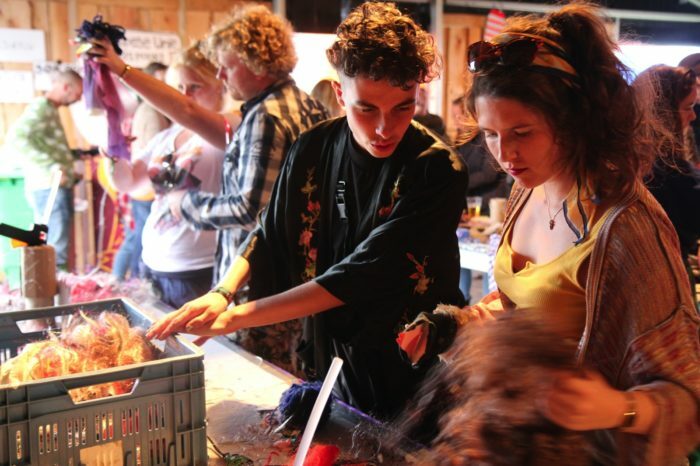 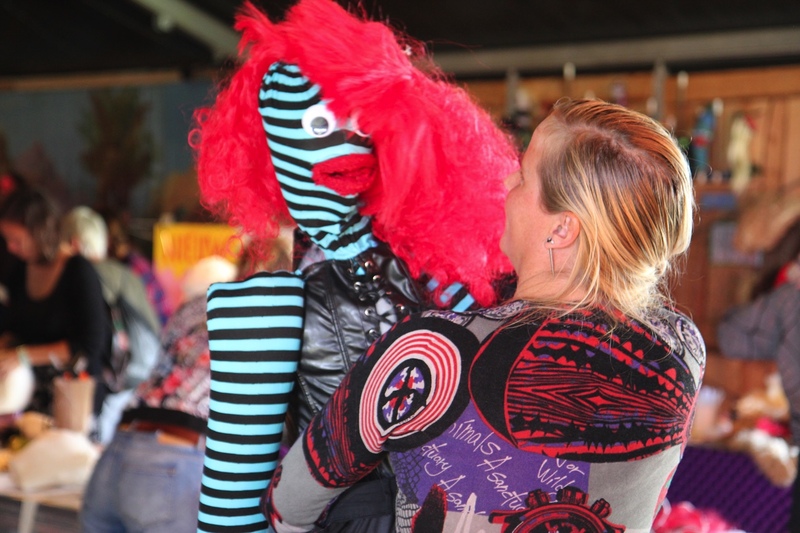 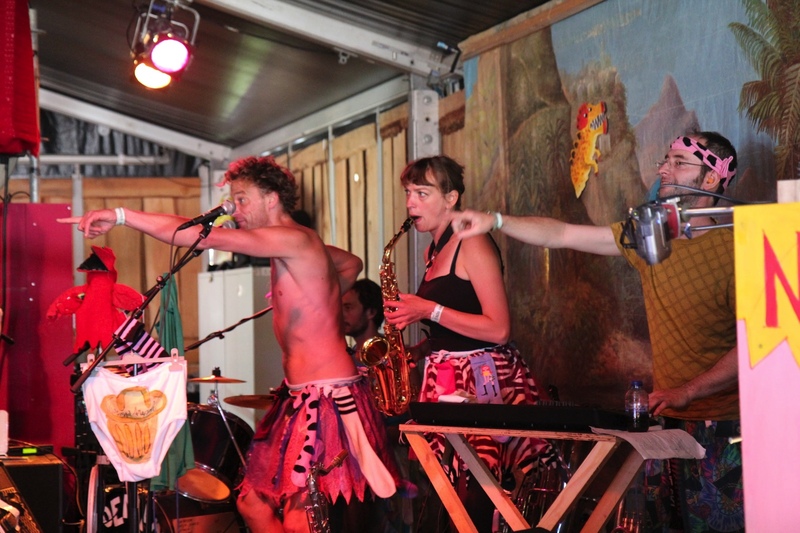 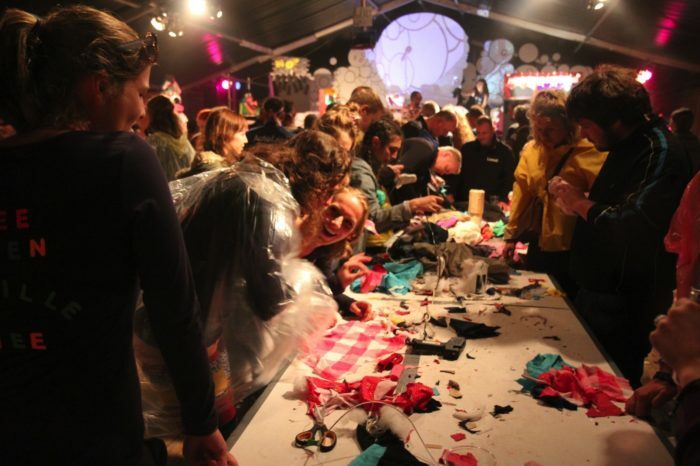 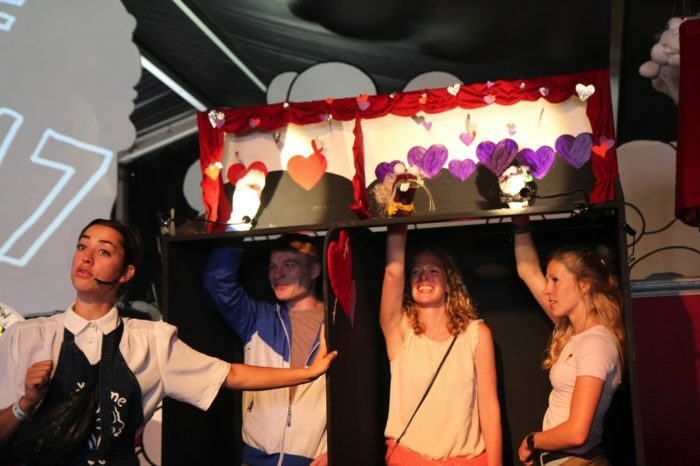 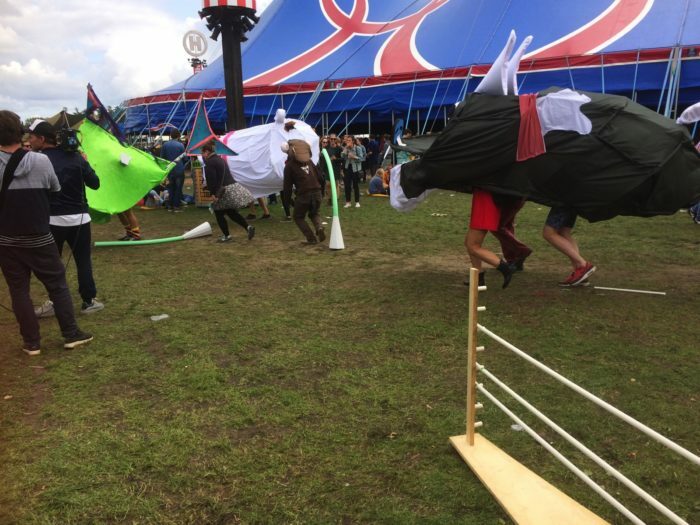 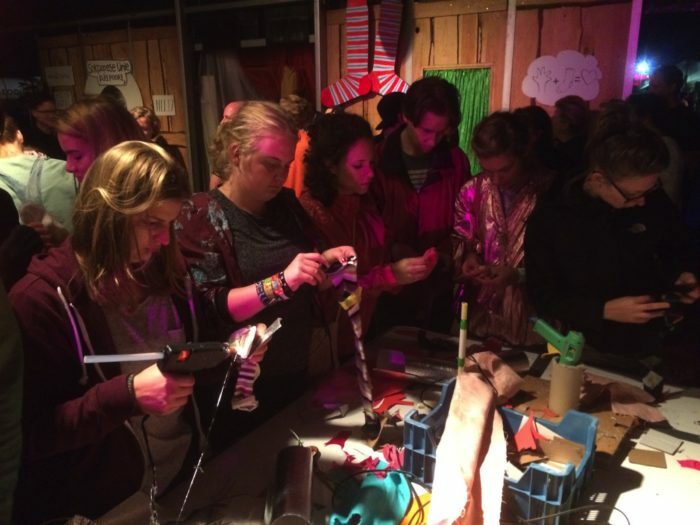 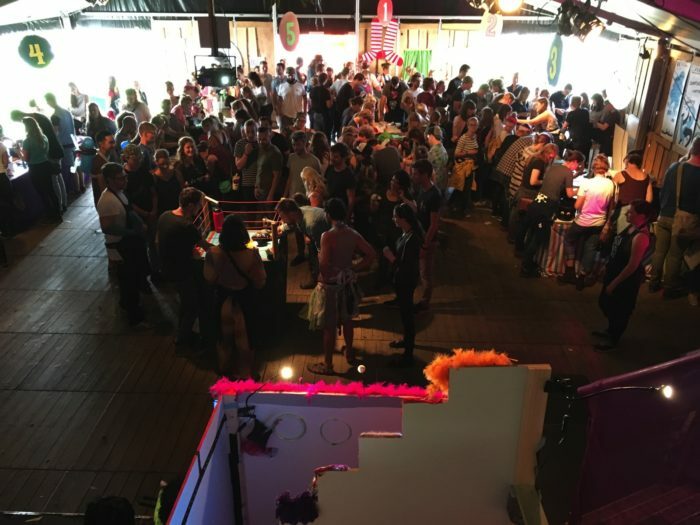 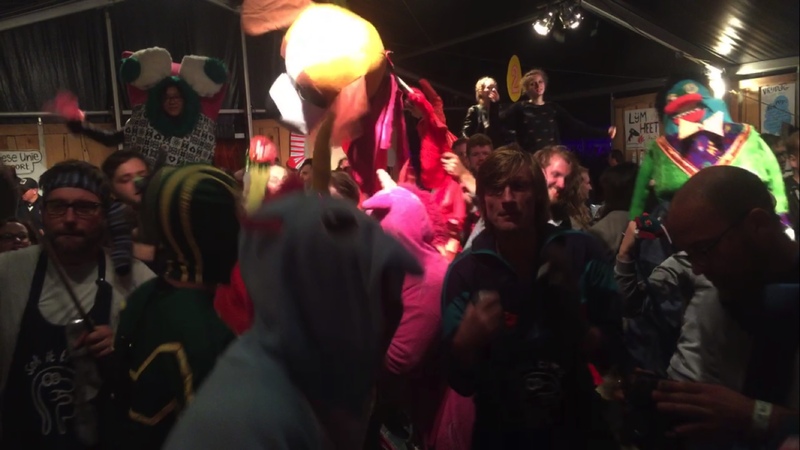 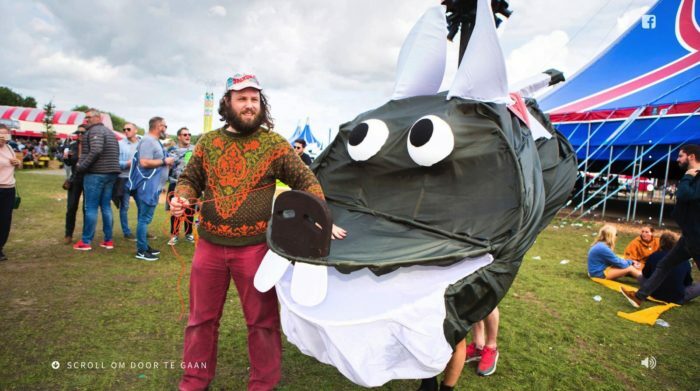 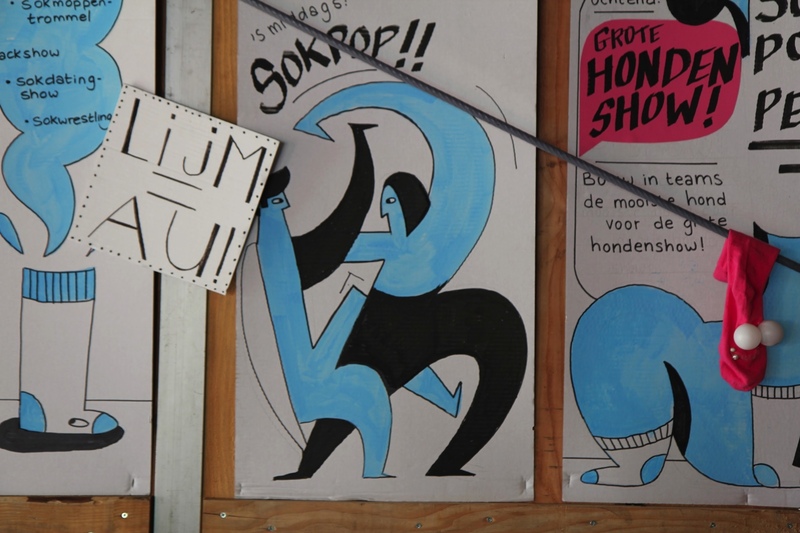 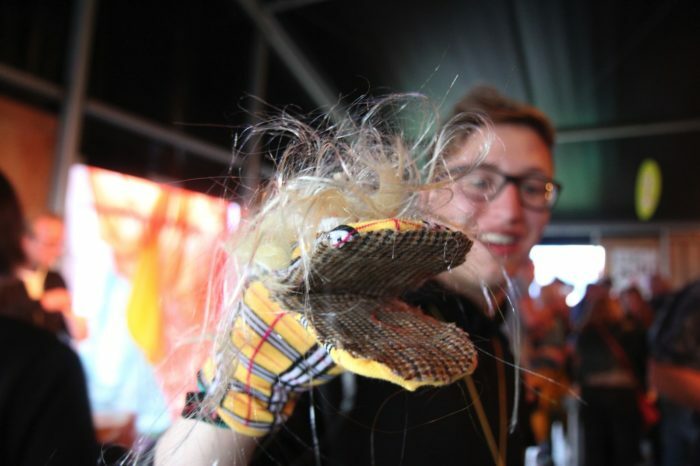 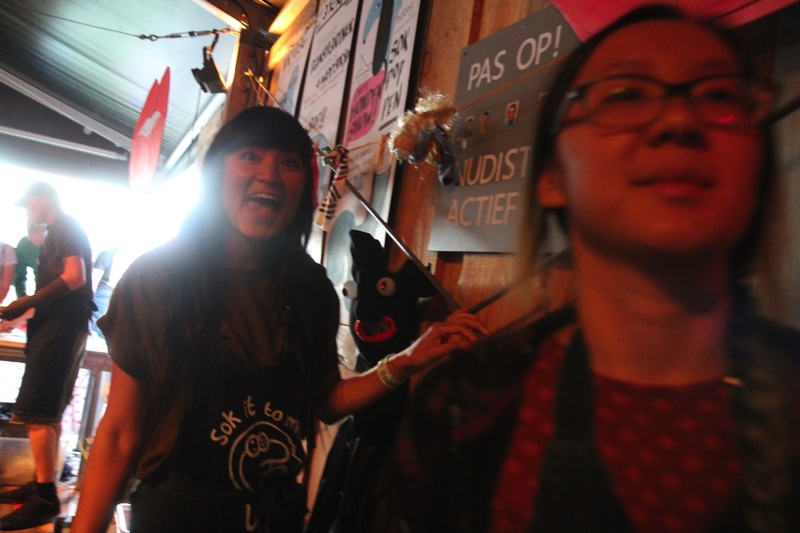 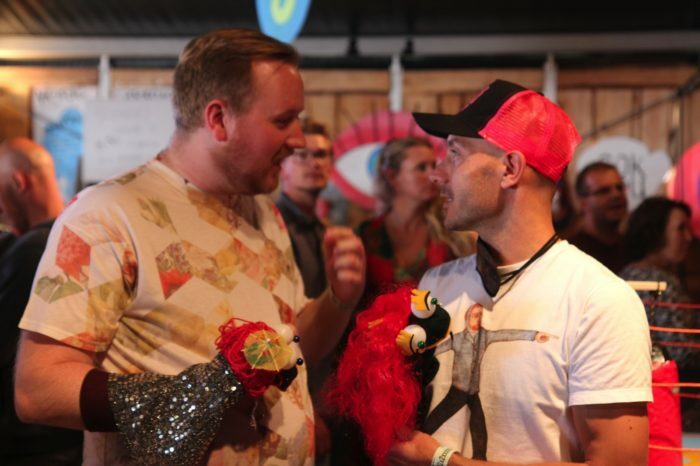 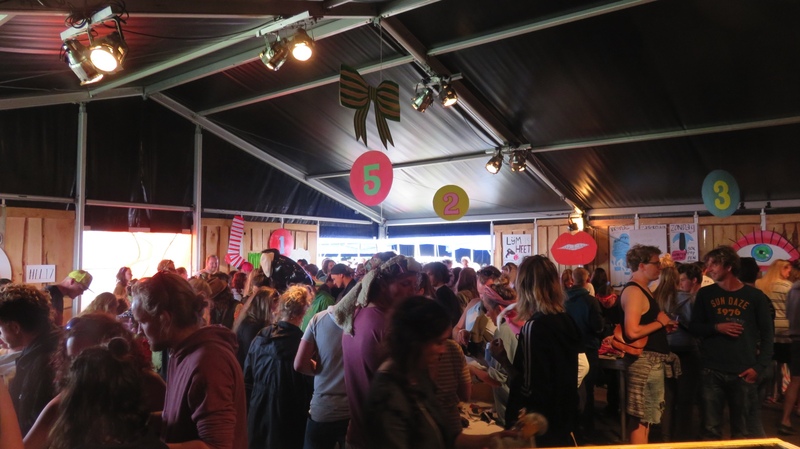 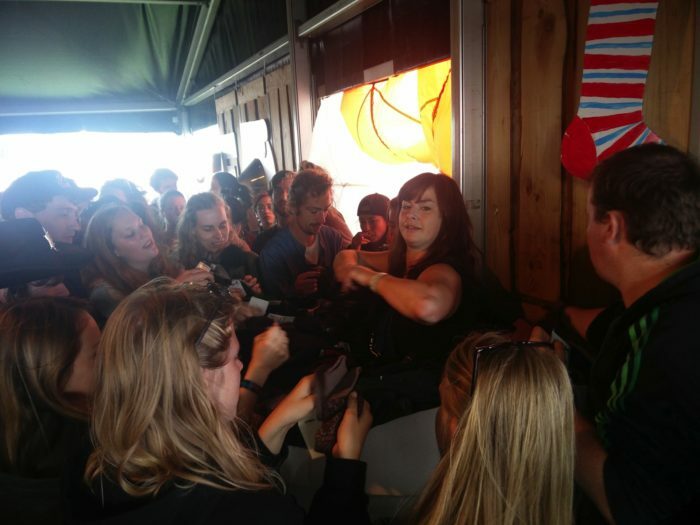 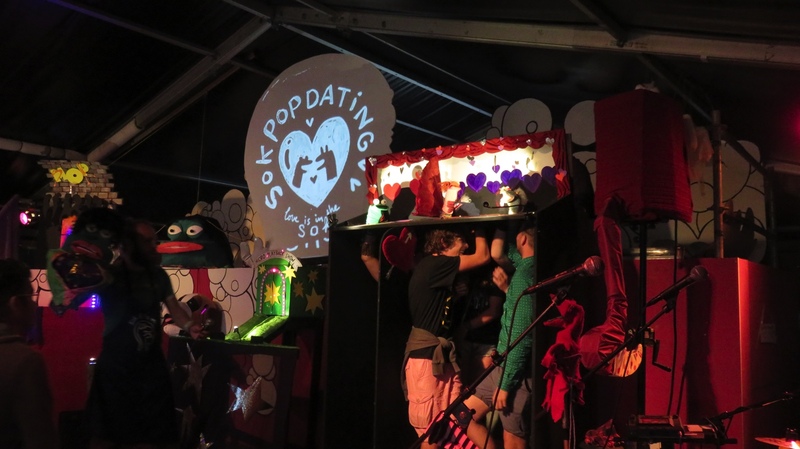 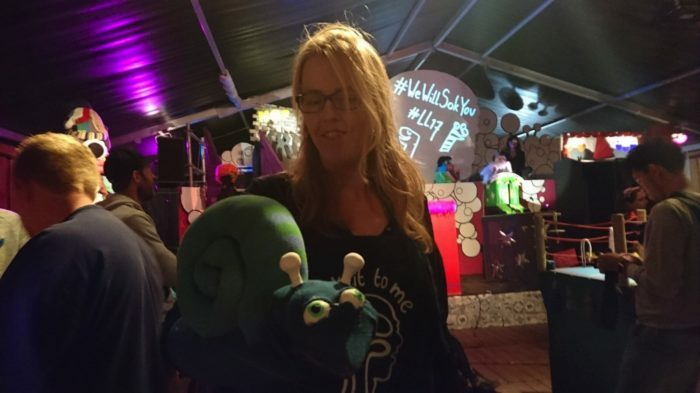 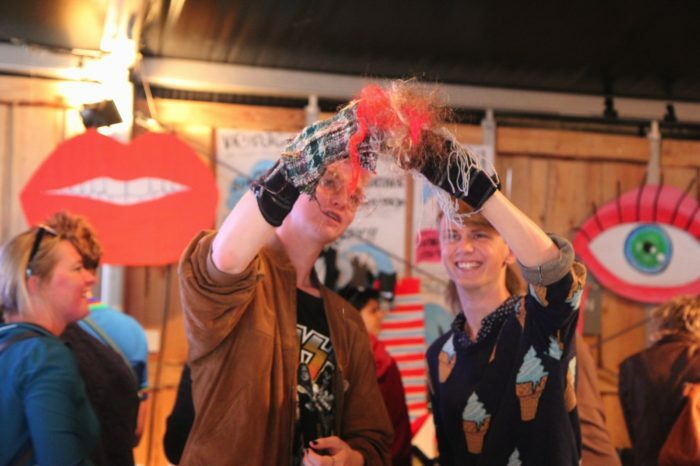 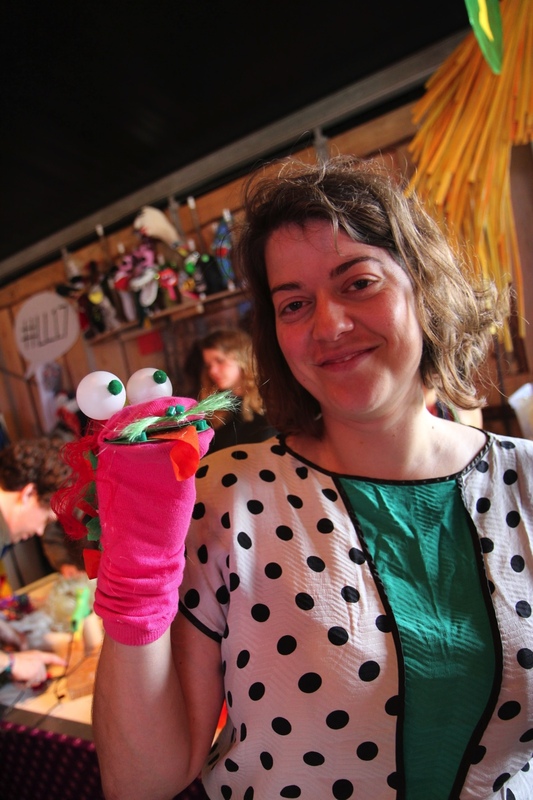 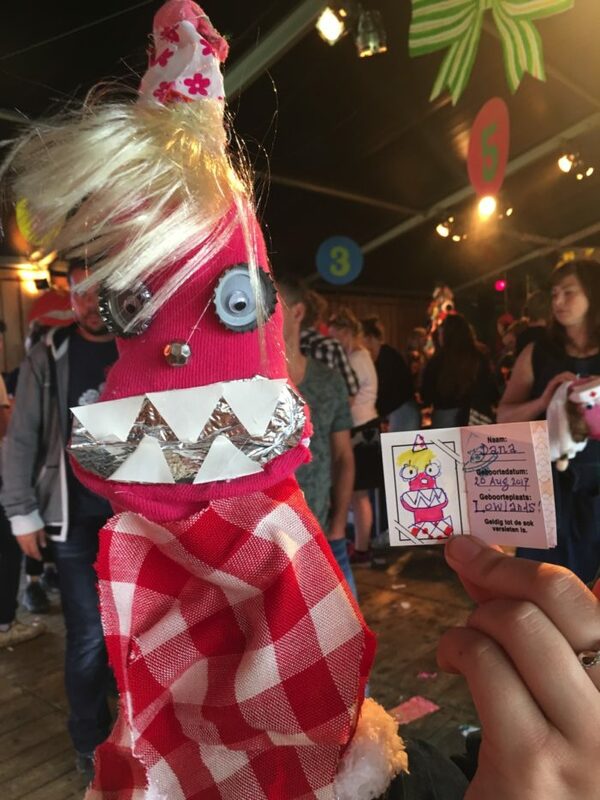 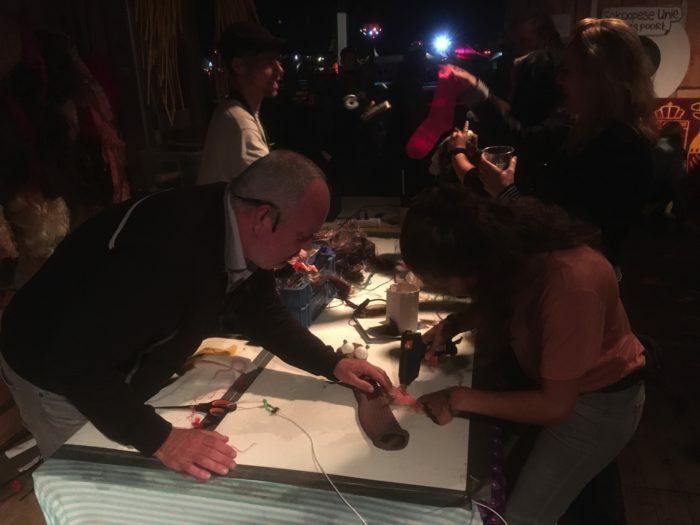 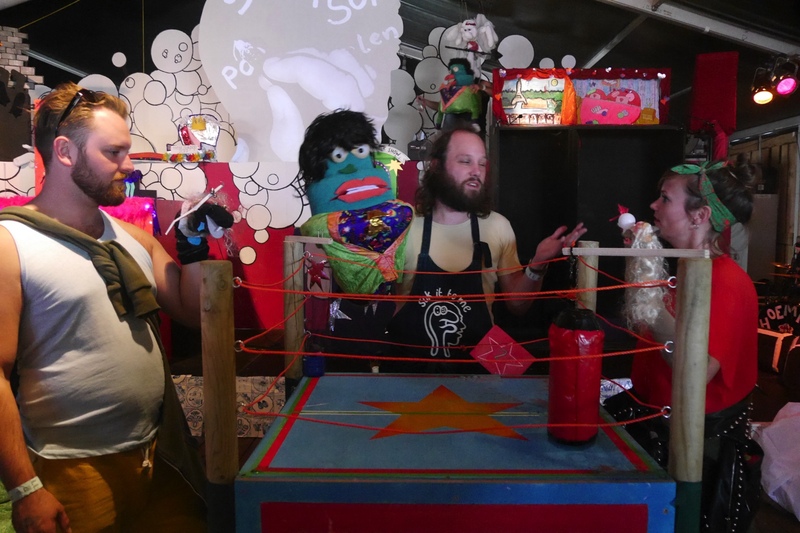 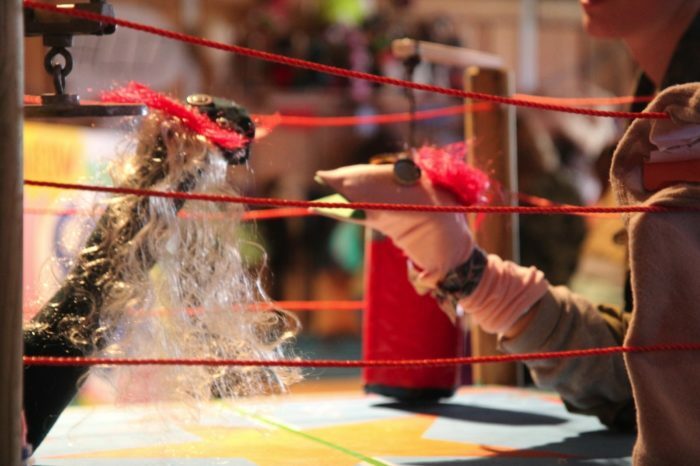 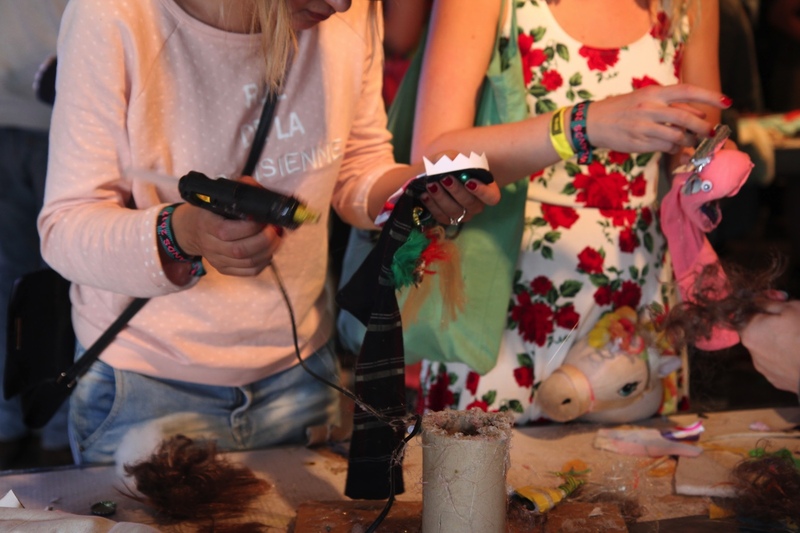 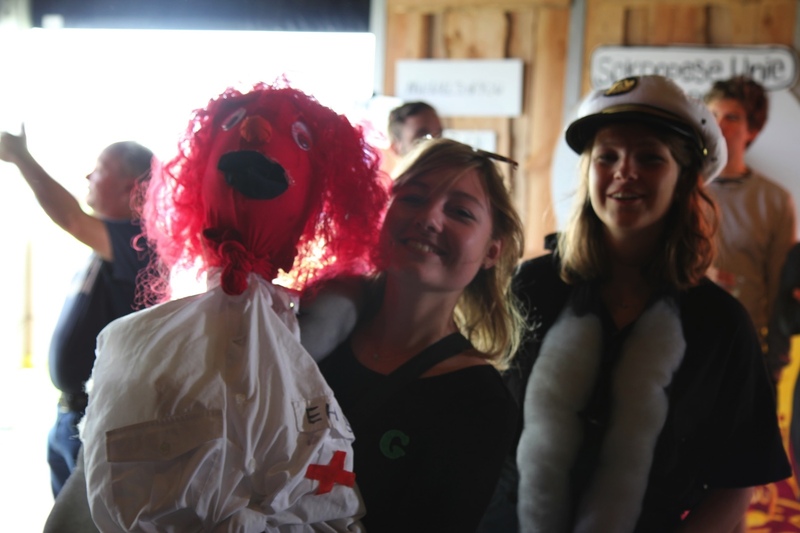 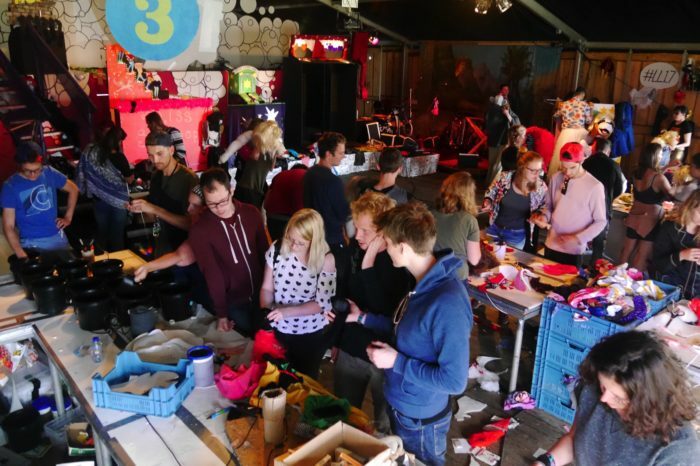 During the Lowlands Festival we made more than 8000 sockpuppets! 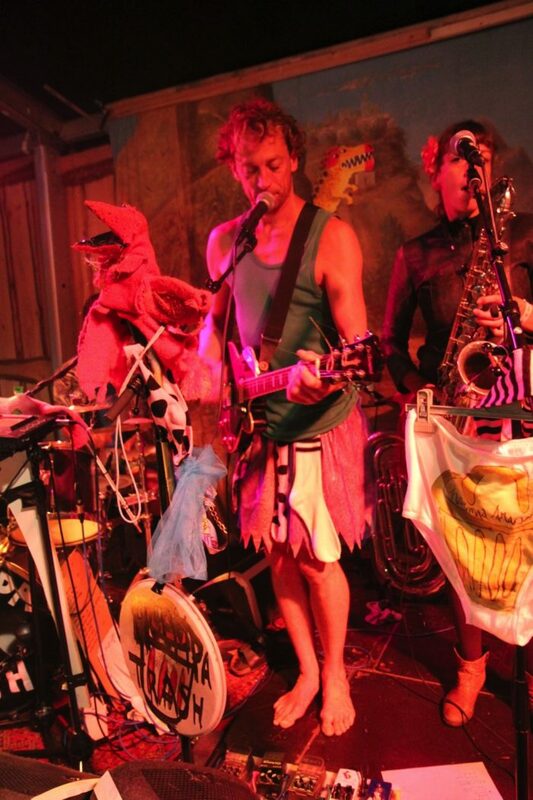 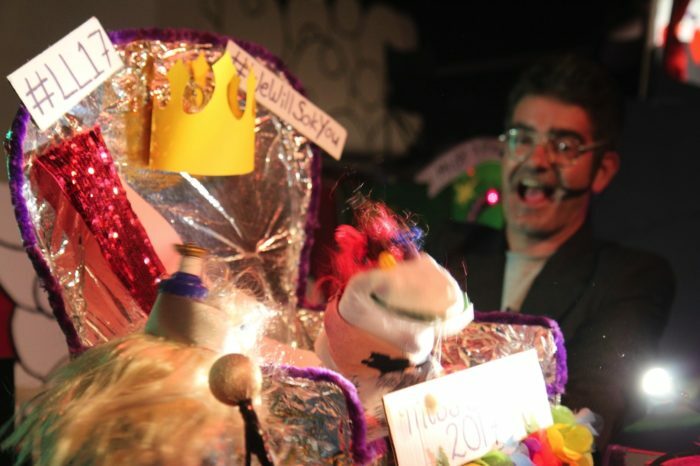 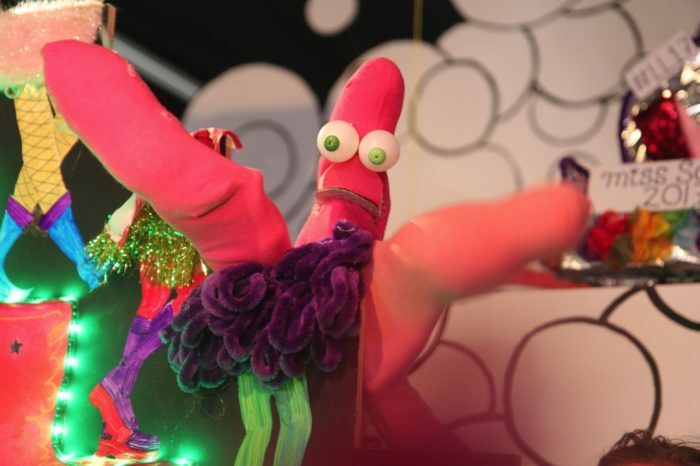 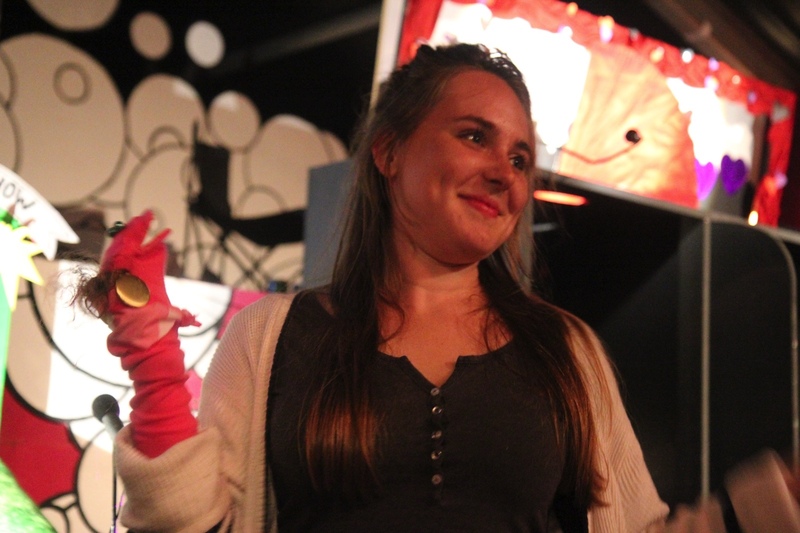 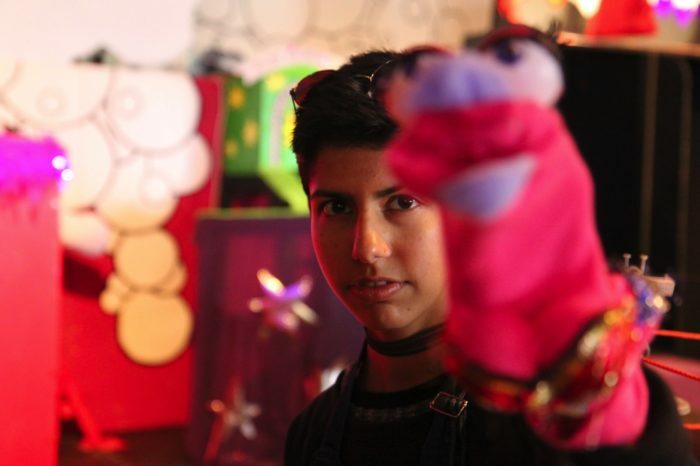 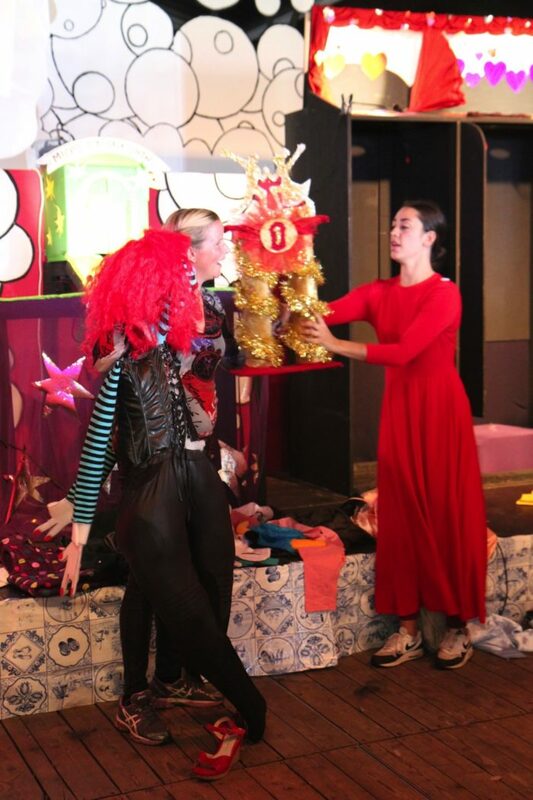 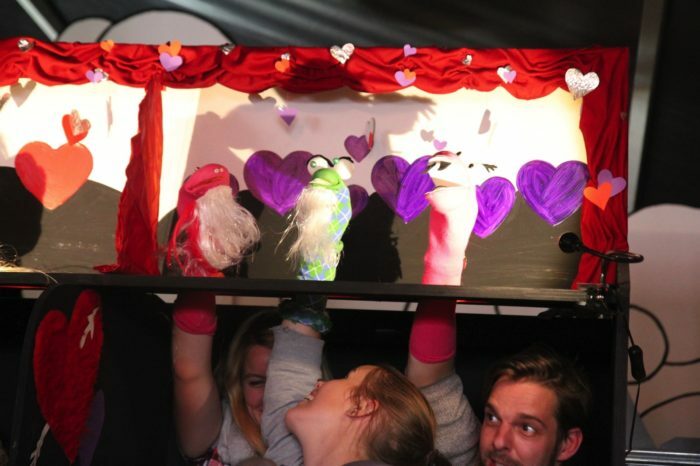 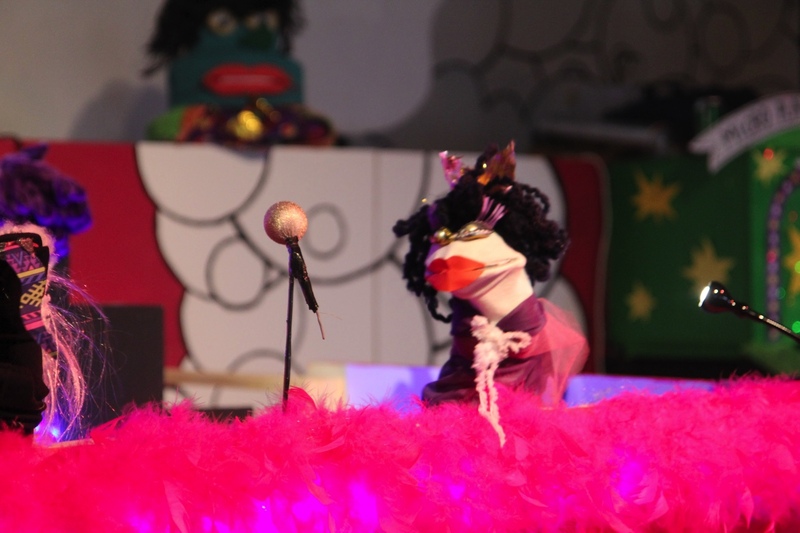 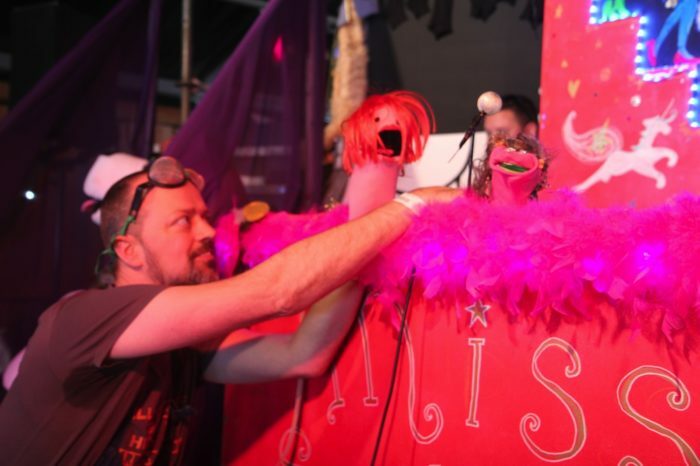 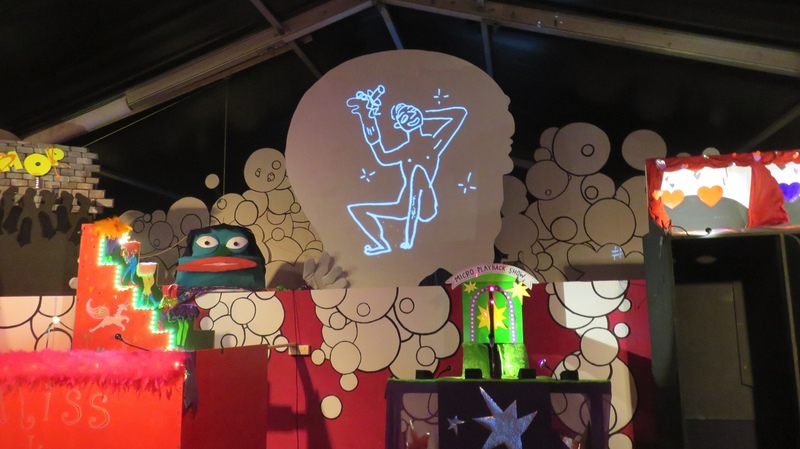 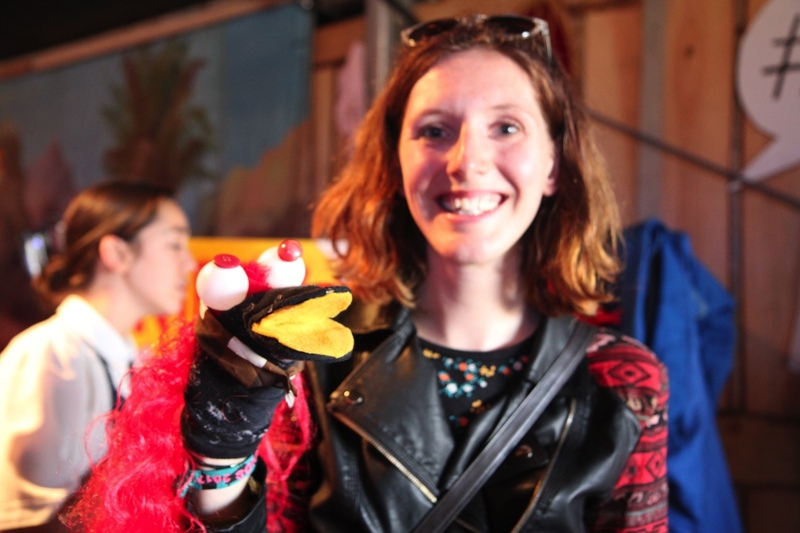 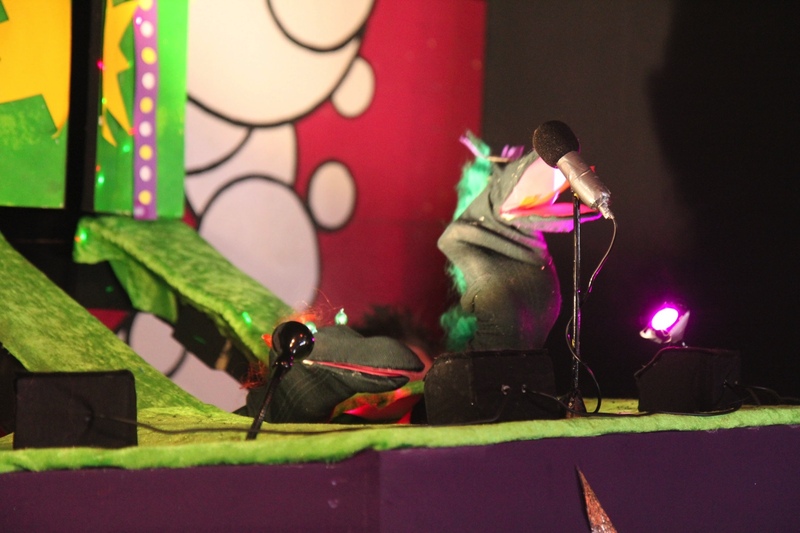 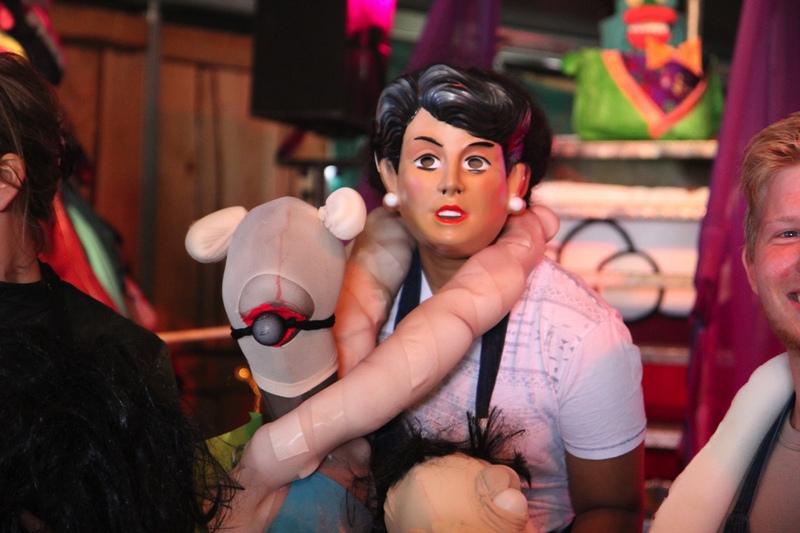 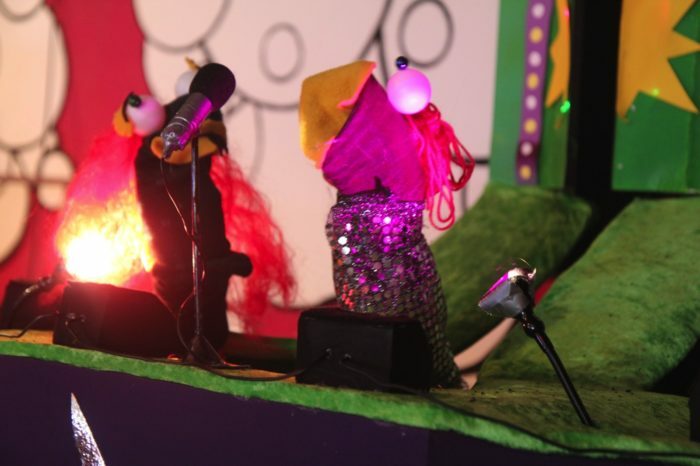 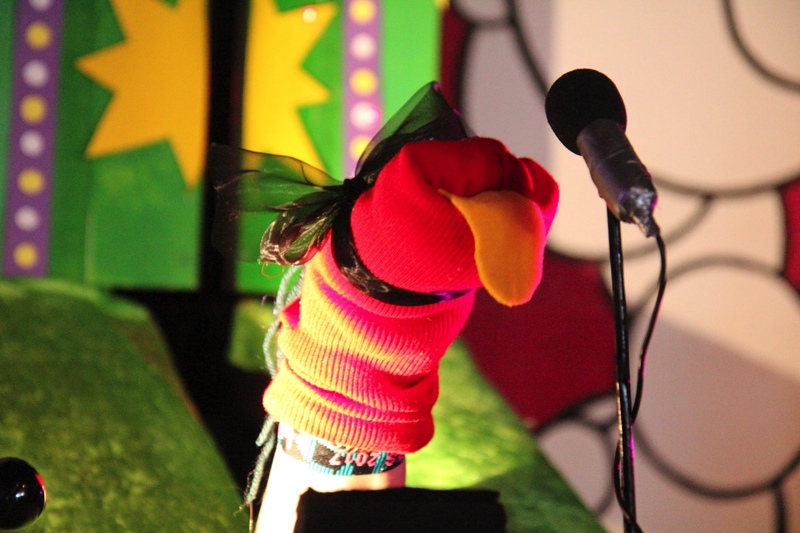 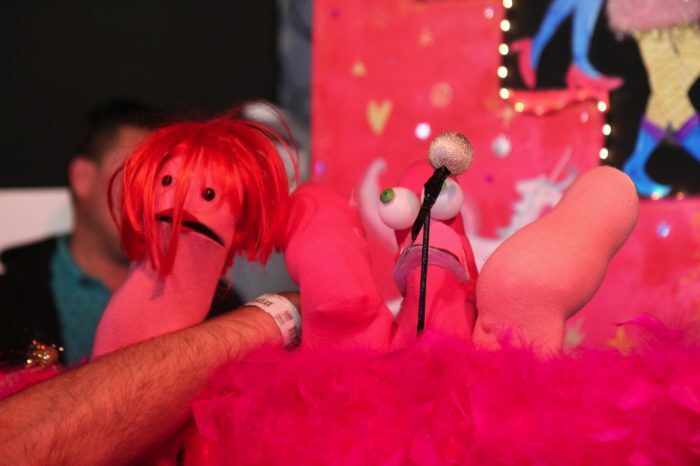 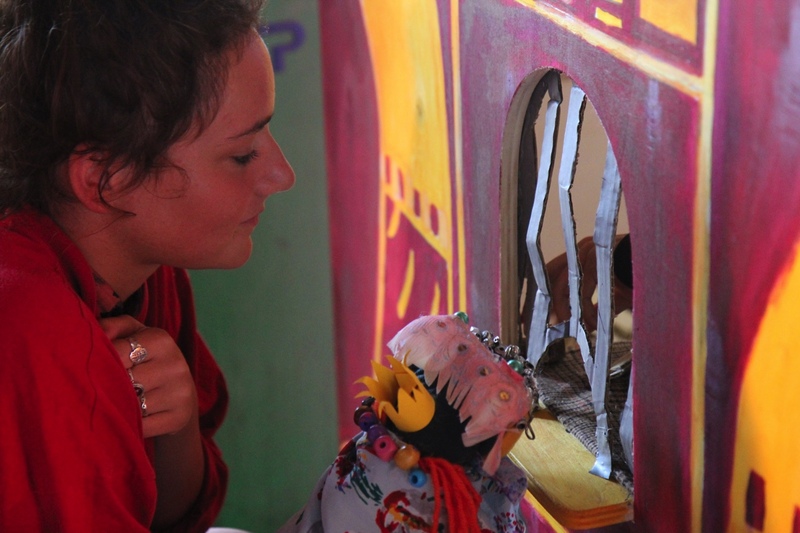 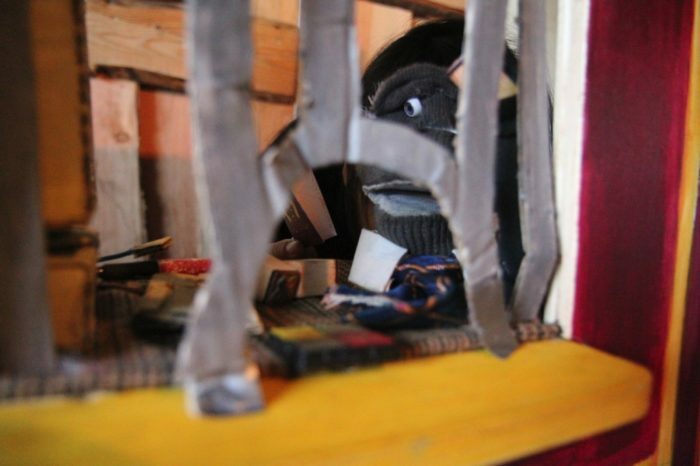 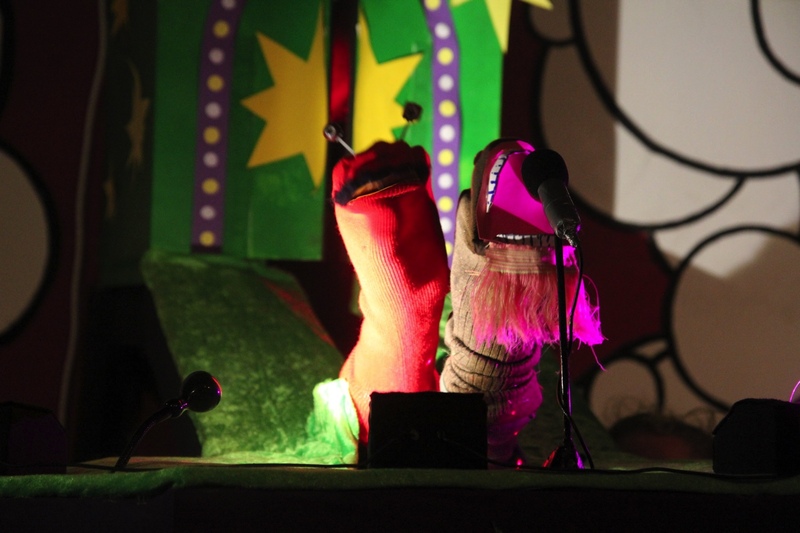 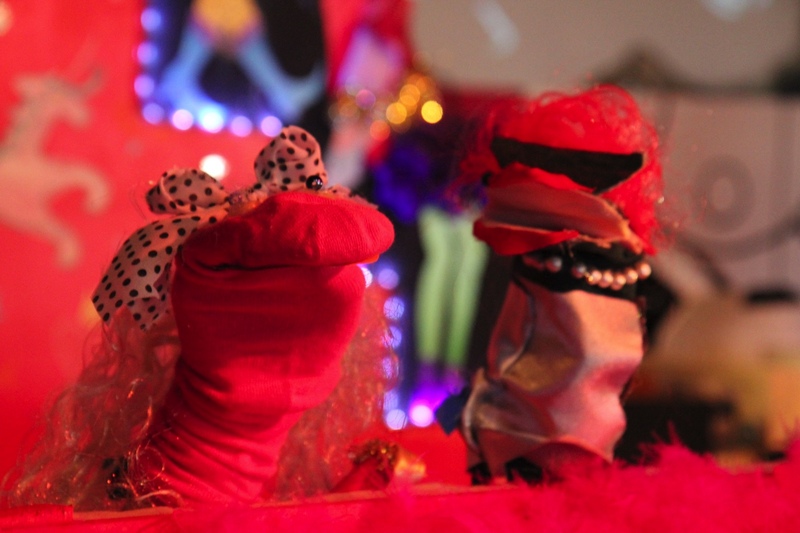 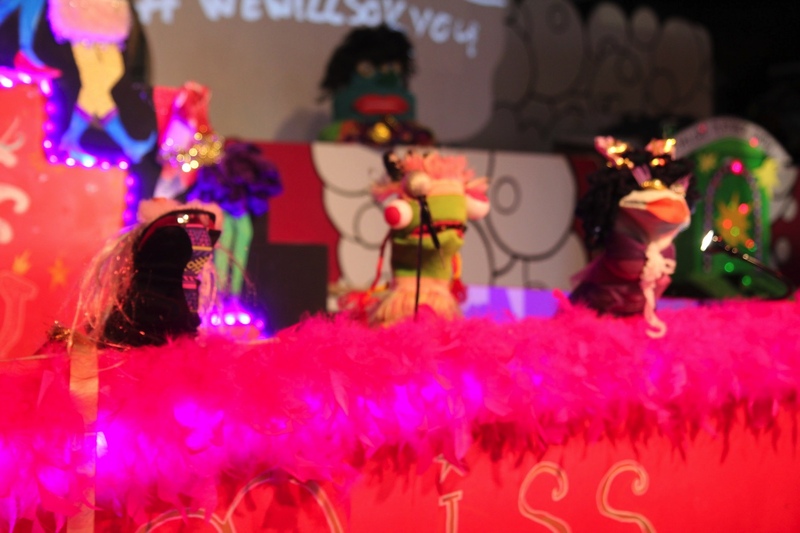 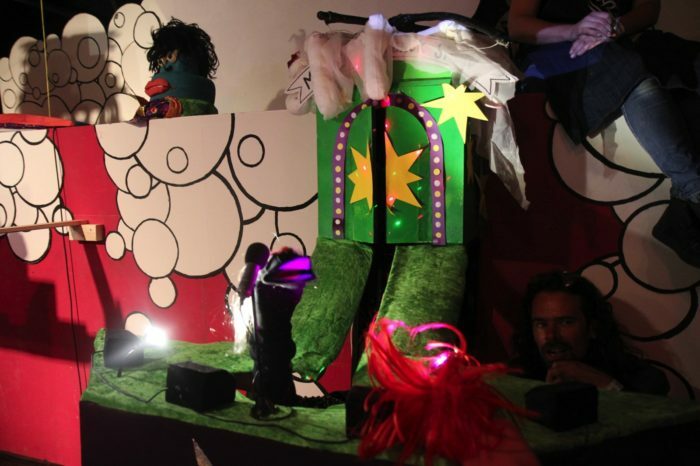 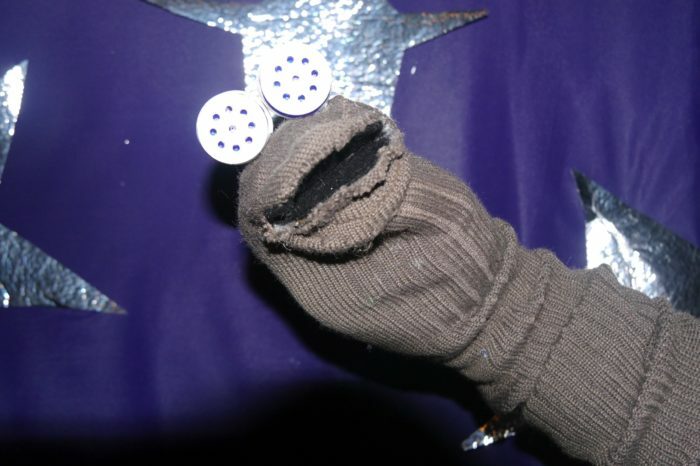 These puppets came to live in all the different sets in our venue! 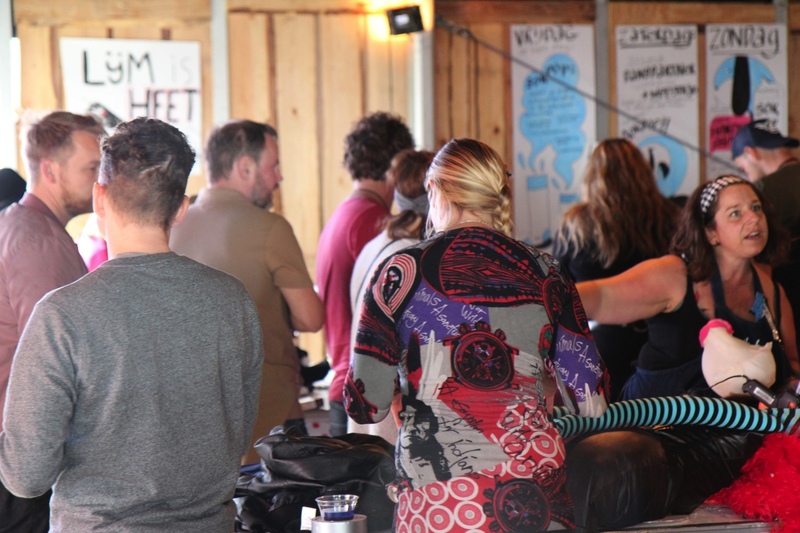 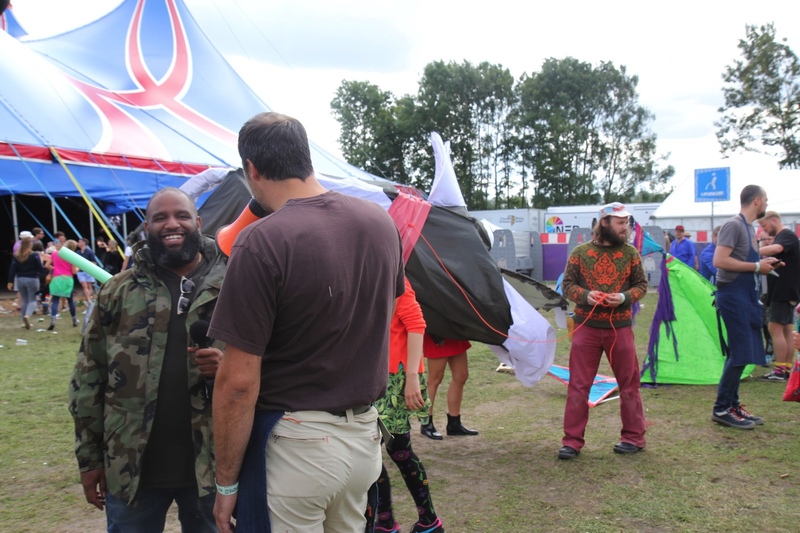 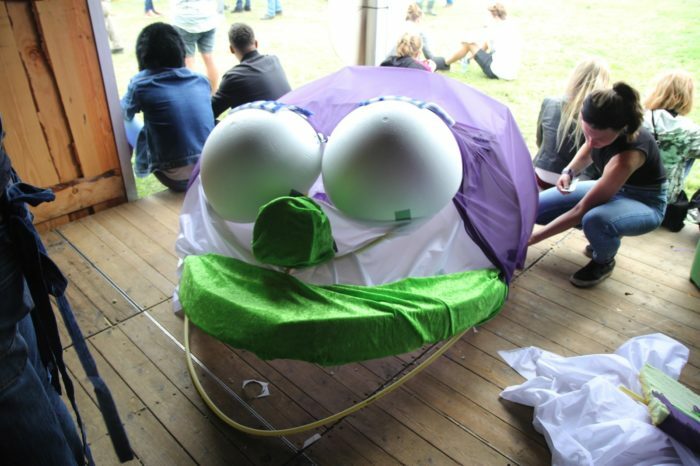 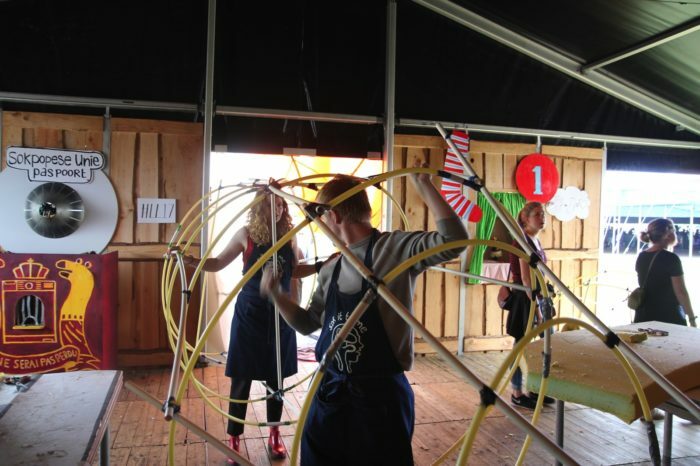 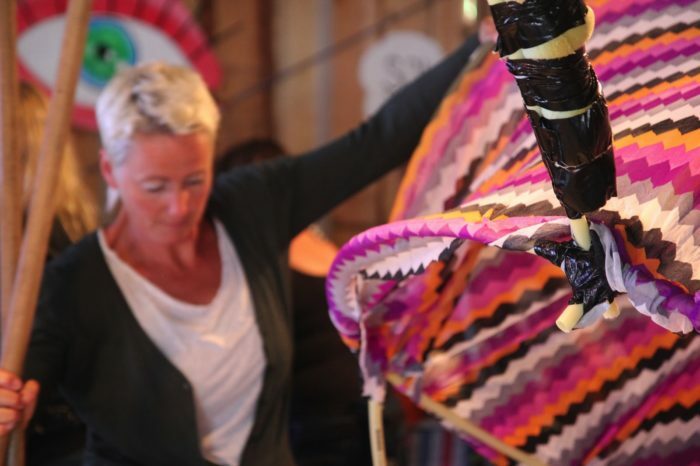 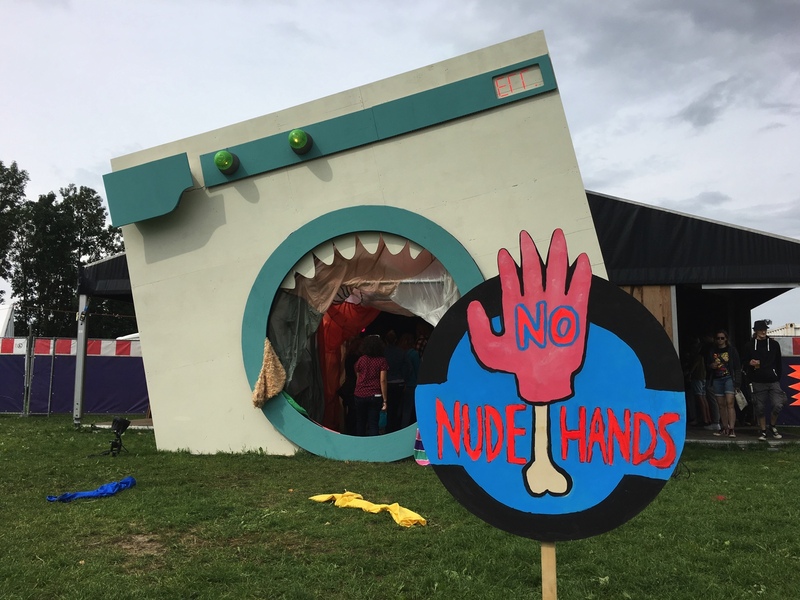 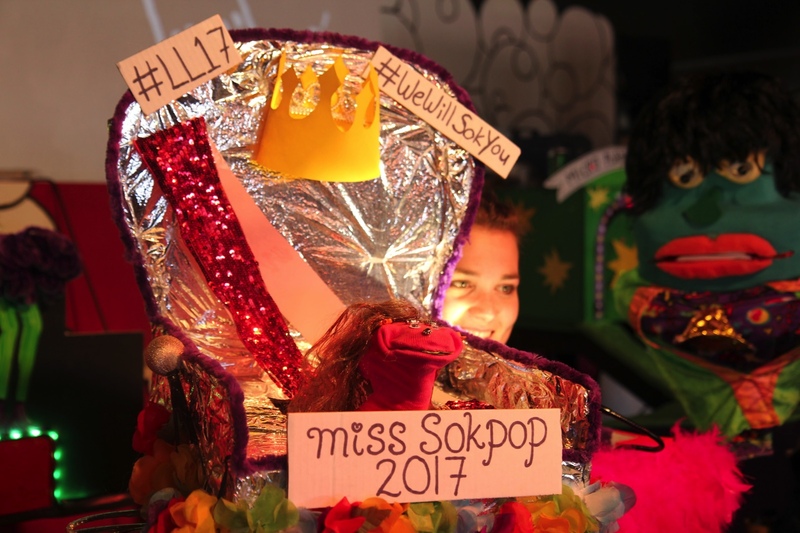 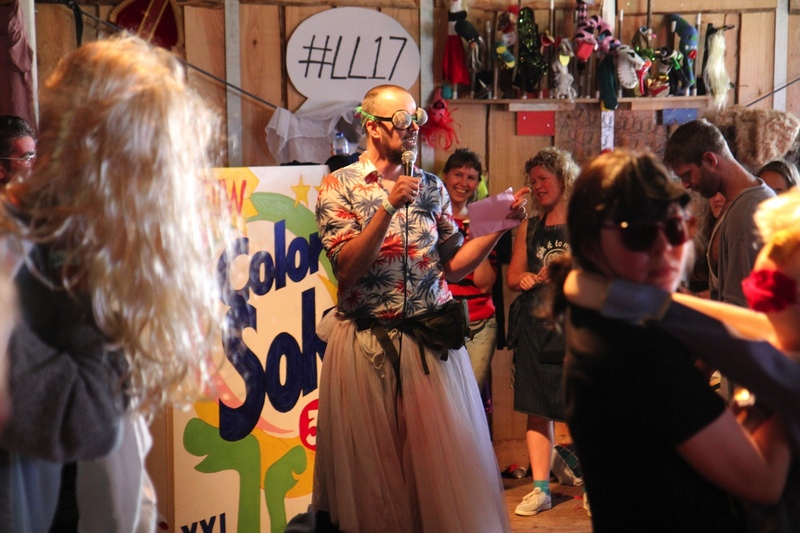 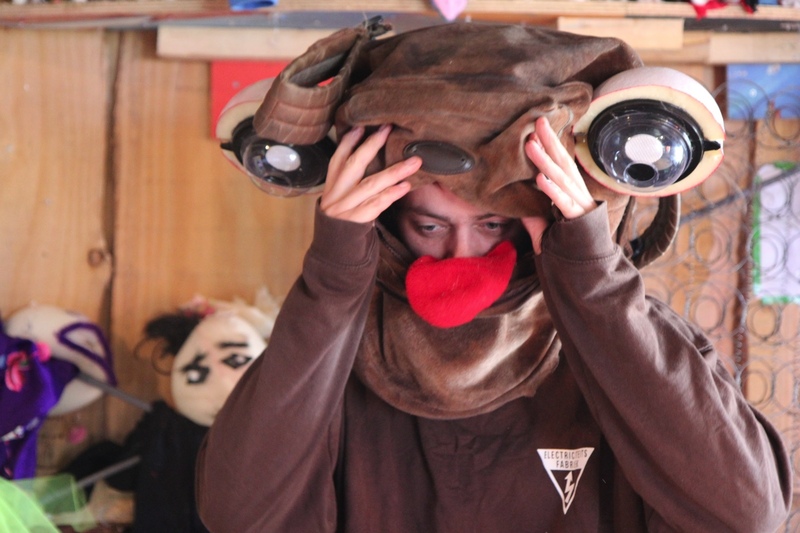 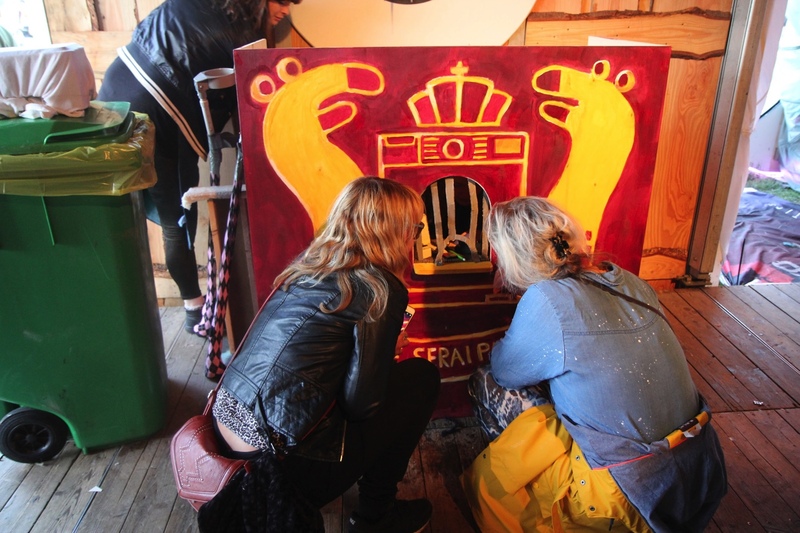 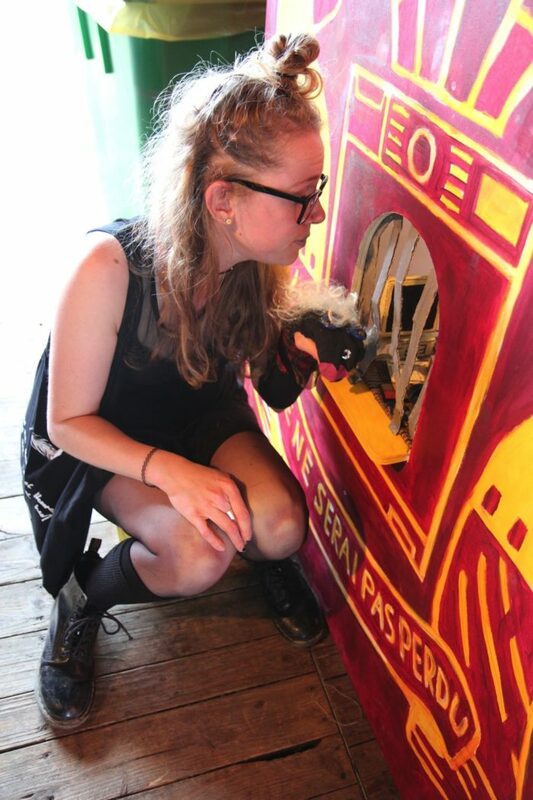 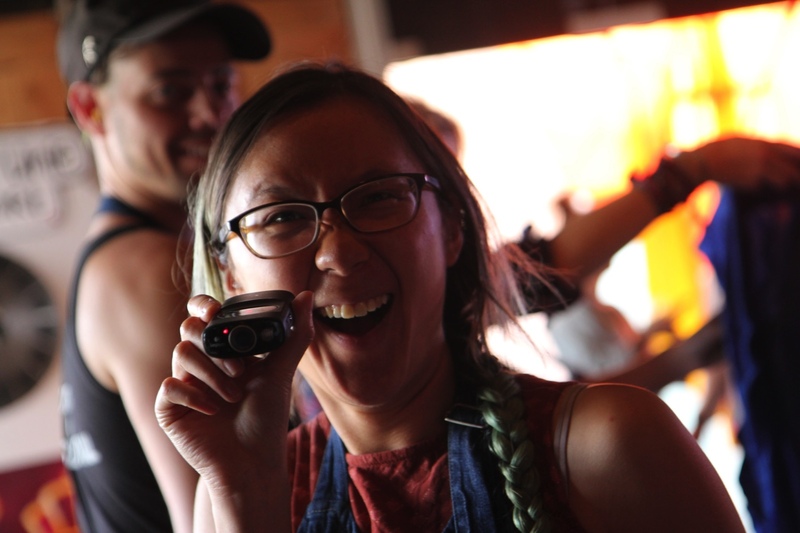 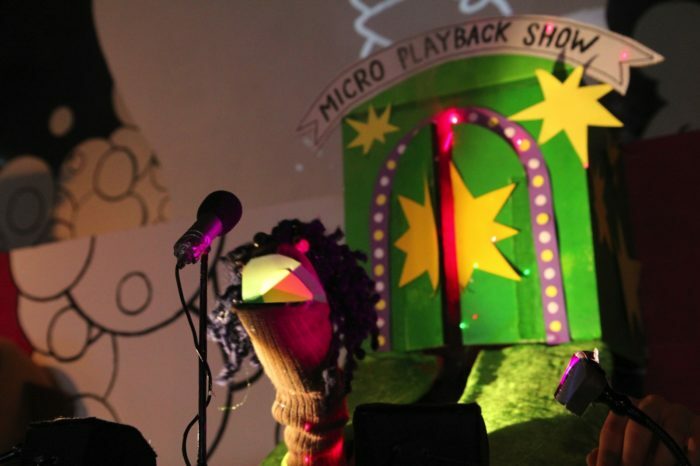 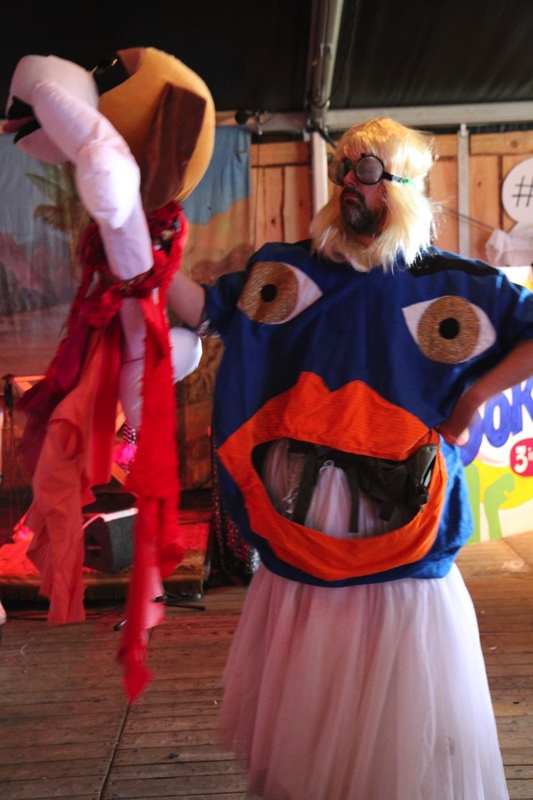 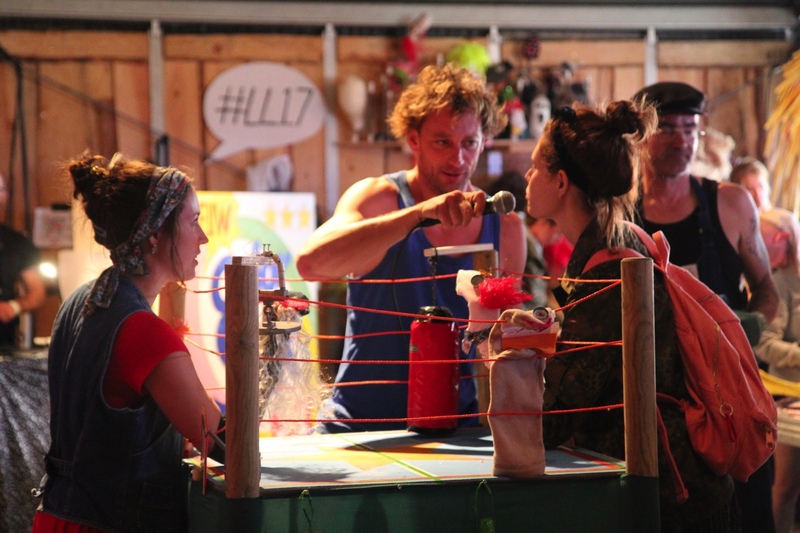 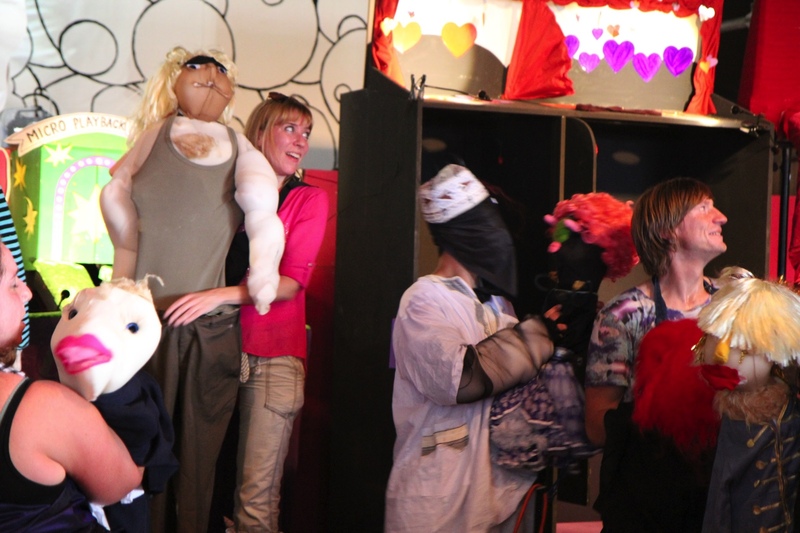 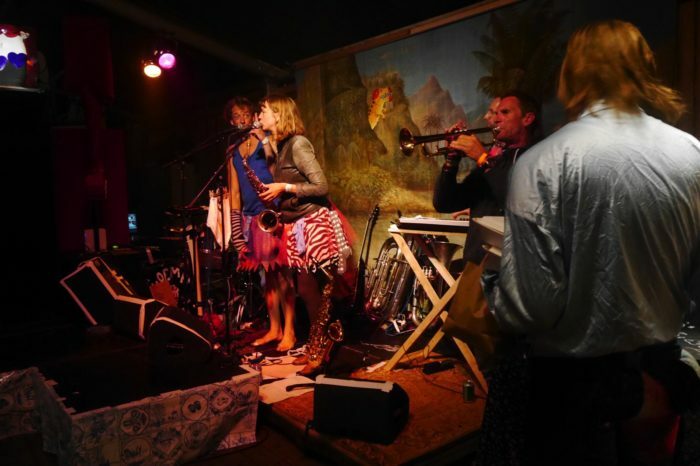 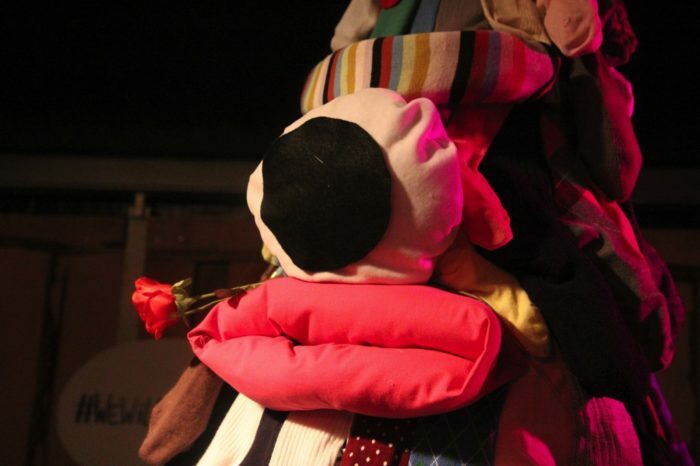 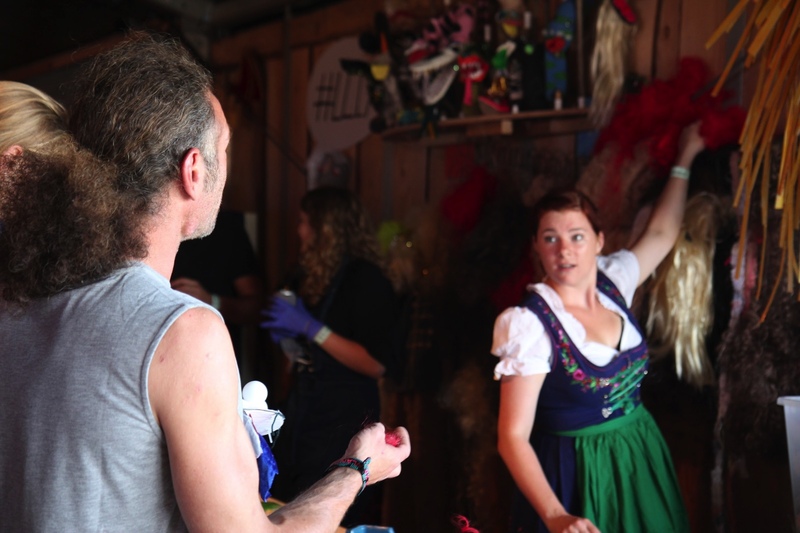 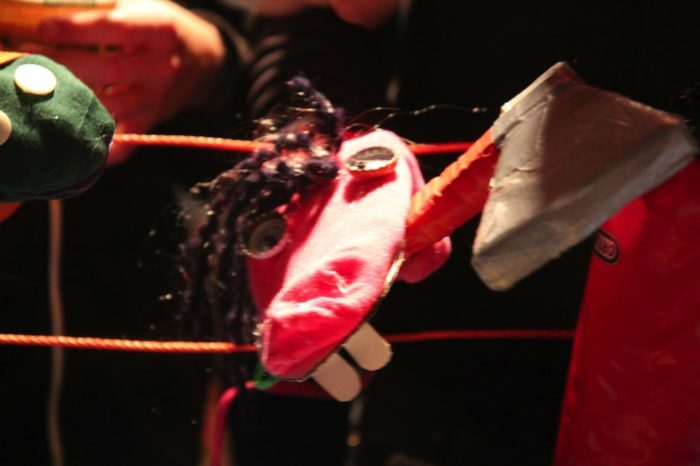 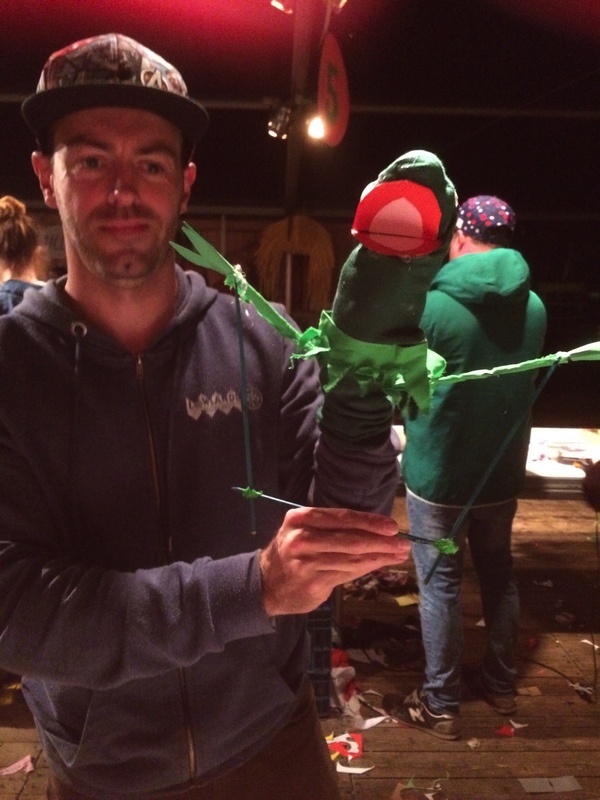 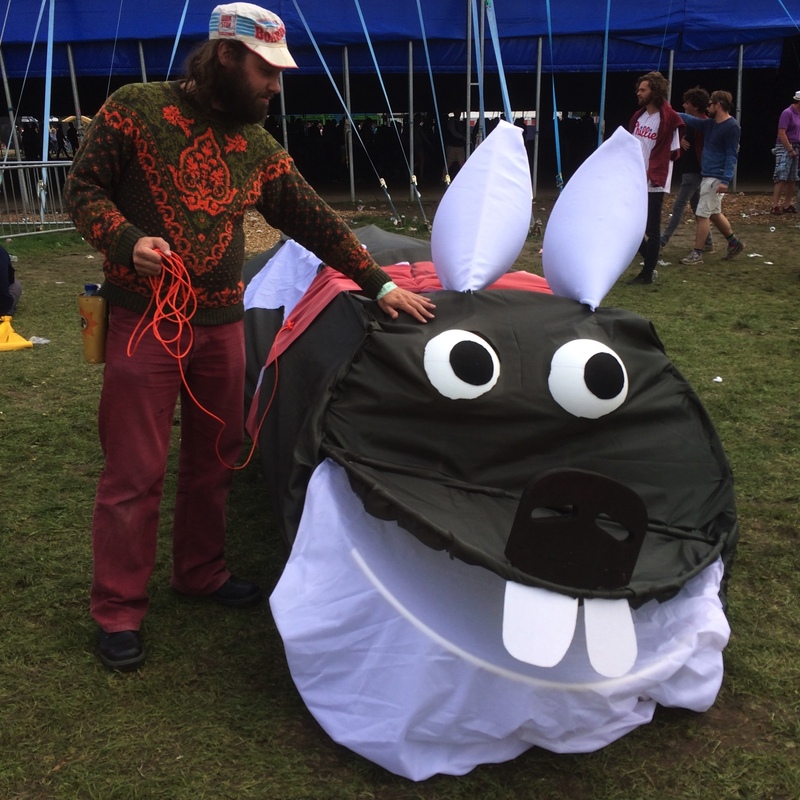 Many thanks to all participants and all workshopleaders, puppeteers and the Lowlands crew! 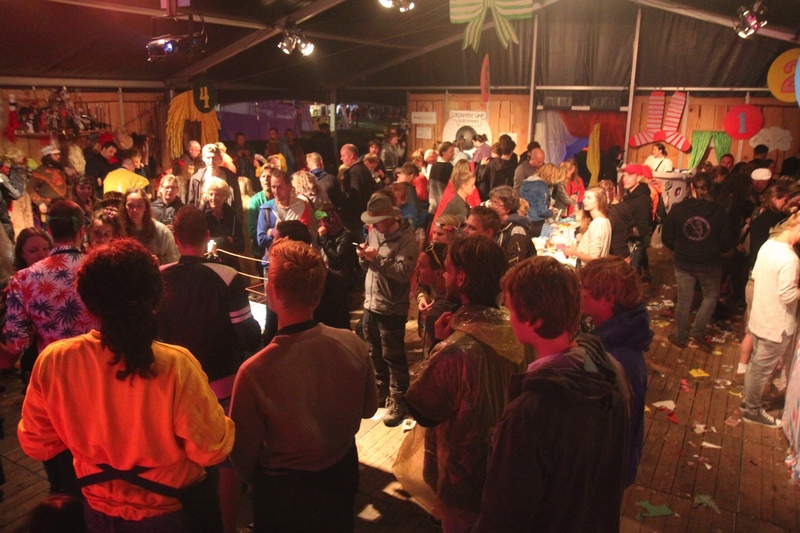 We made also a big party each evening of the festival. 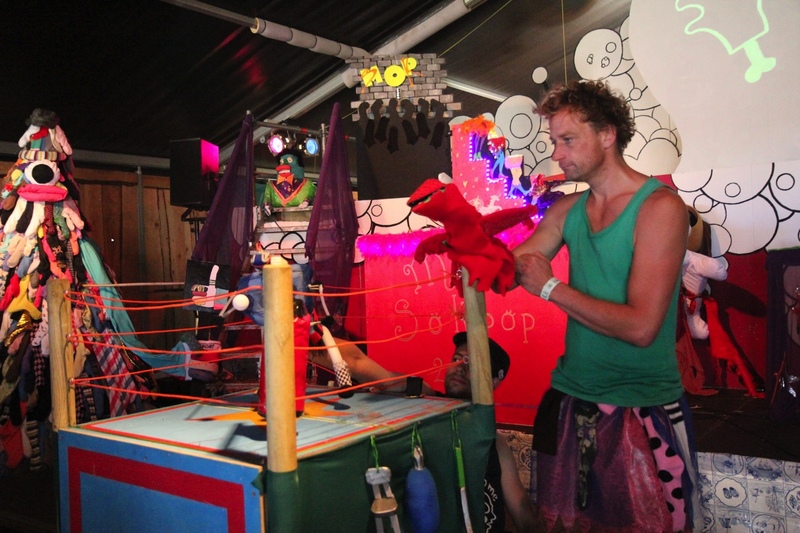 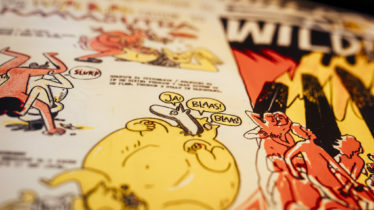 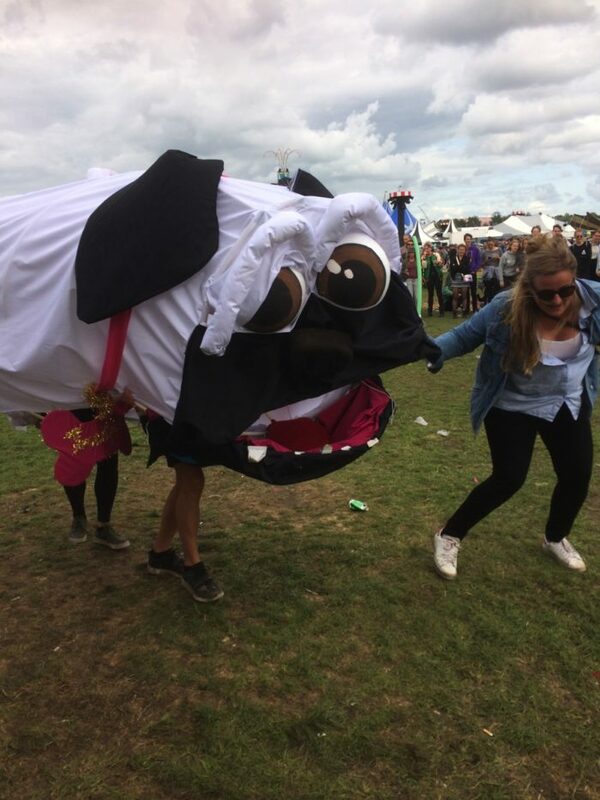 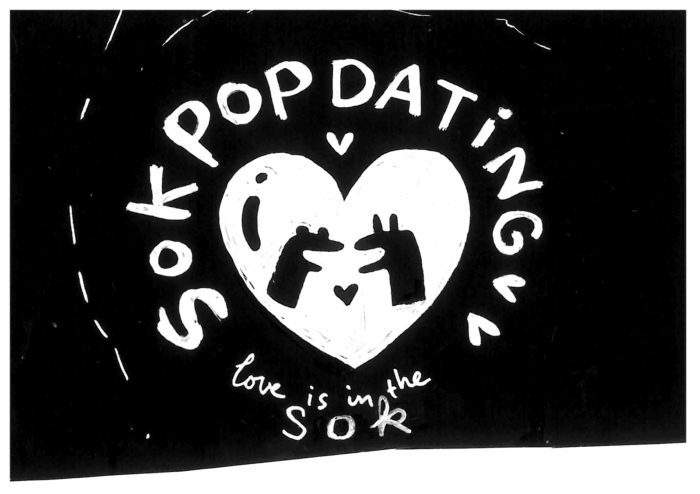 And some specials: a create your own dancepartner battle and a create and train your own aliendog match!